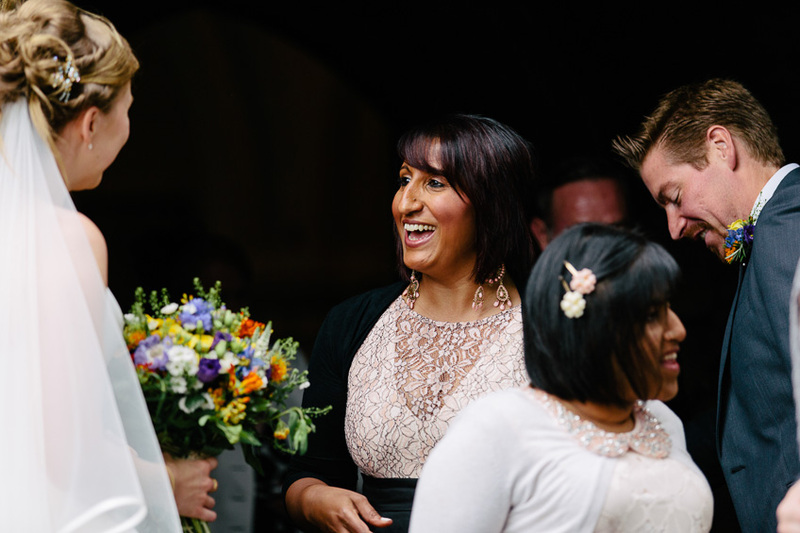 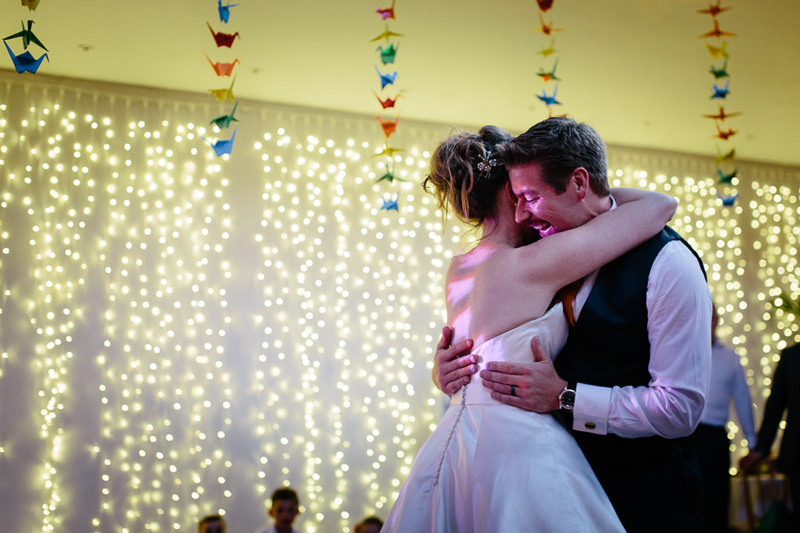 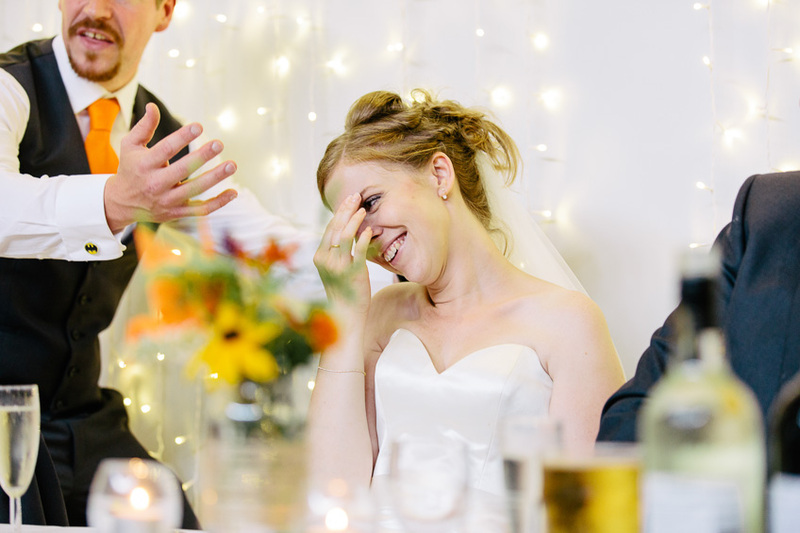 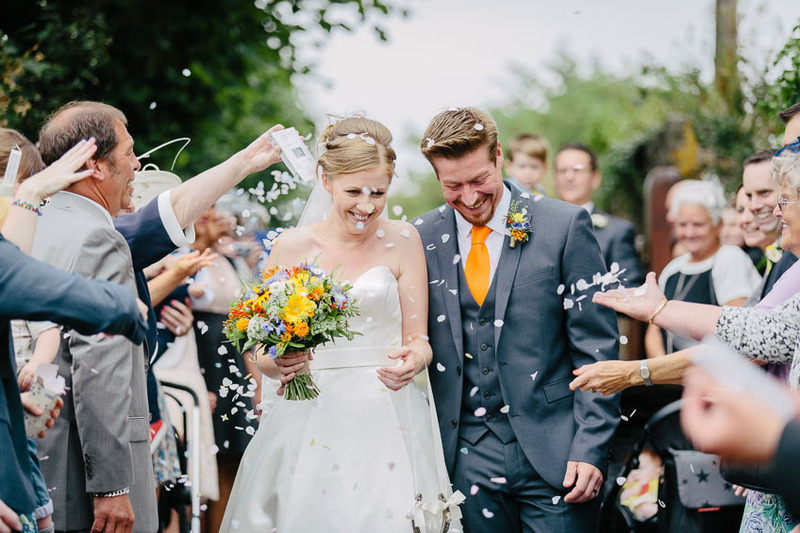 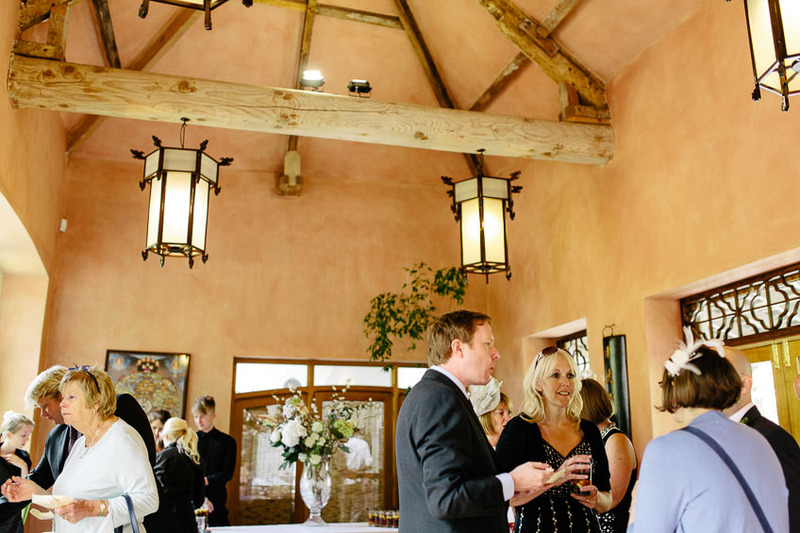 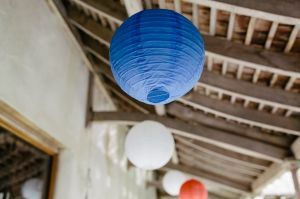 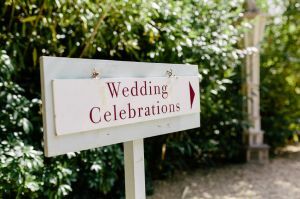 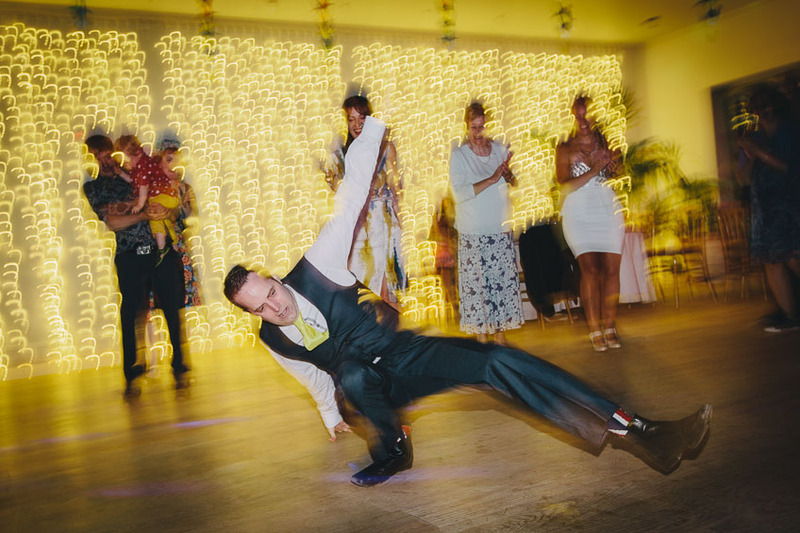 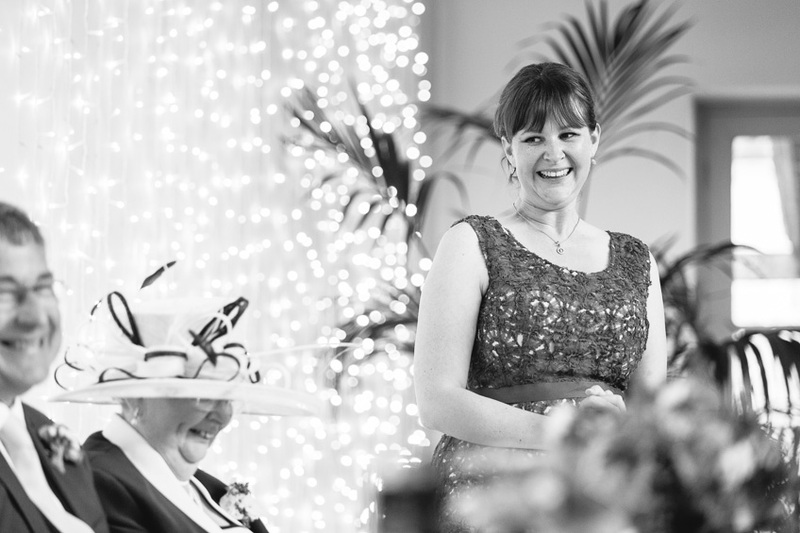 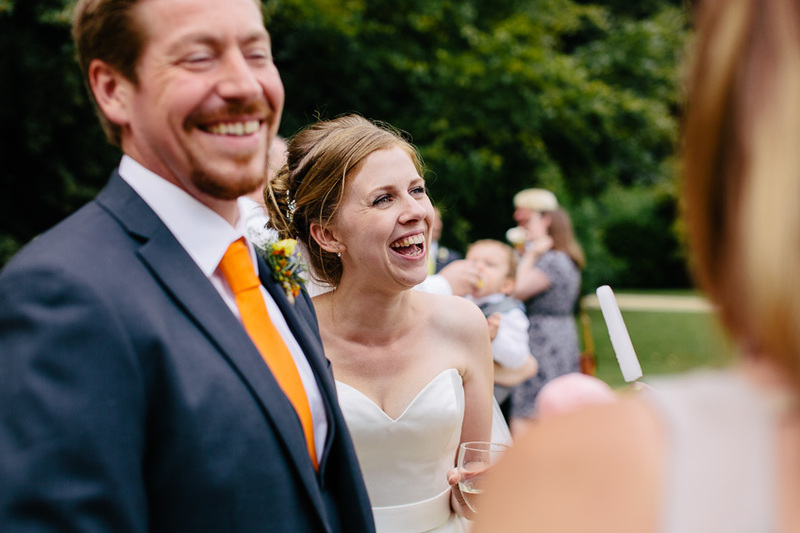 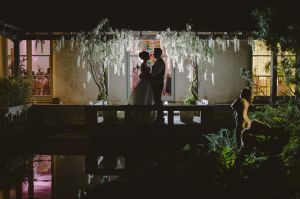 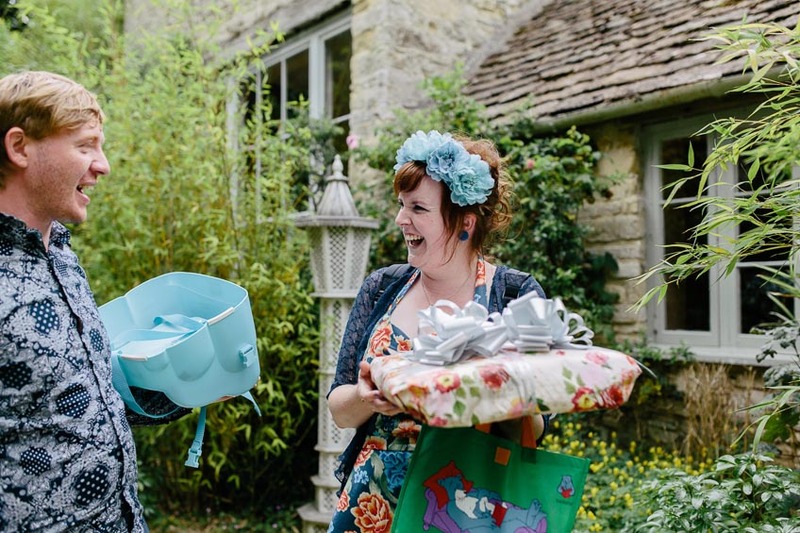 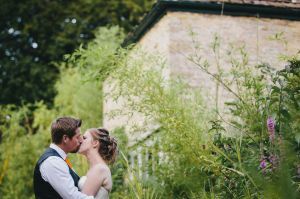 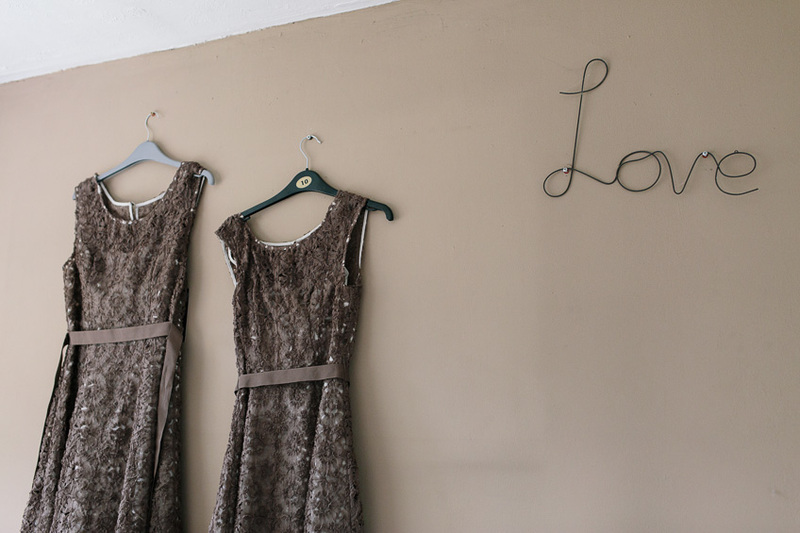 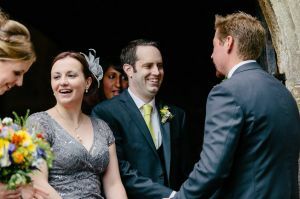 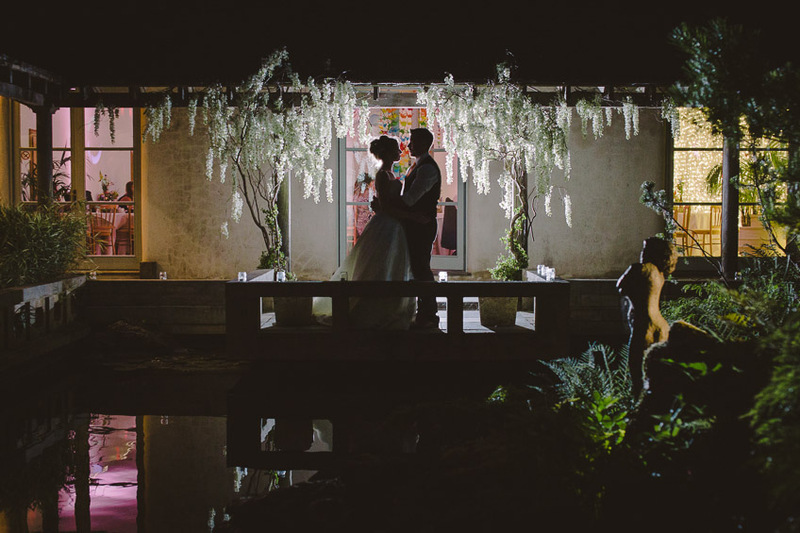 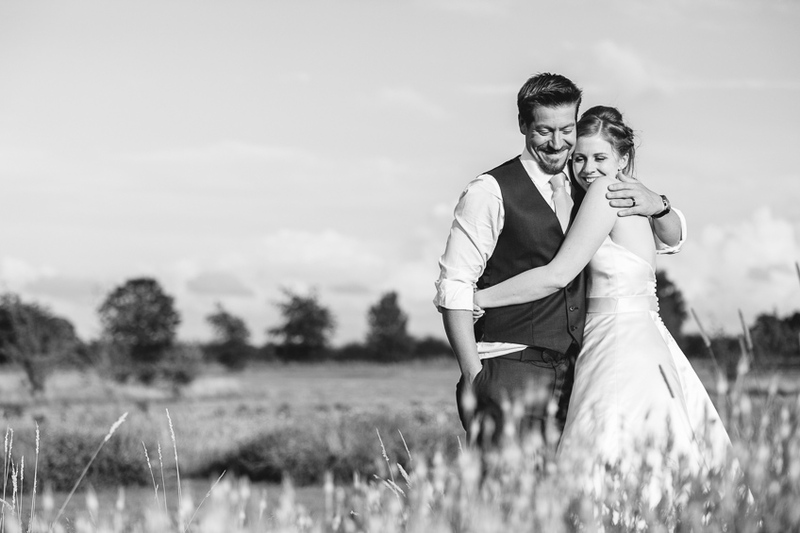 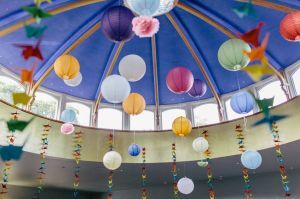 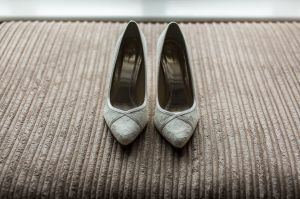 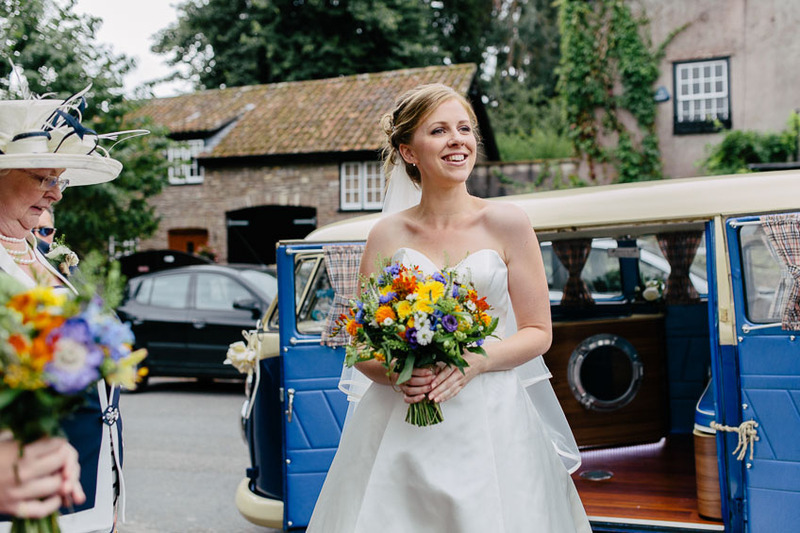 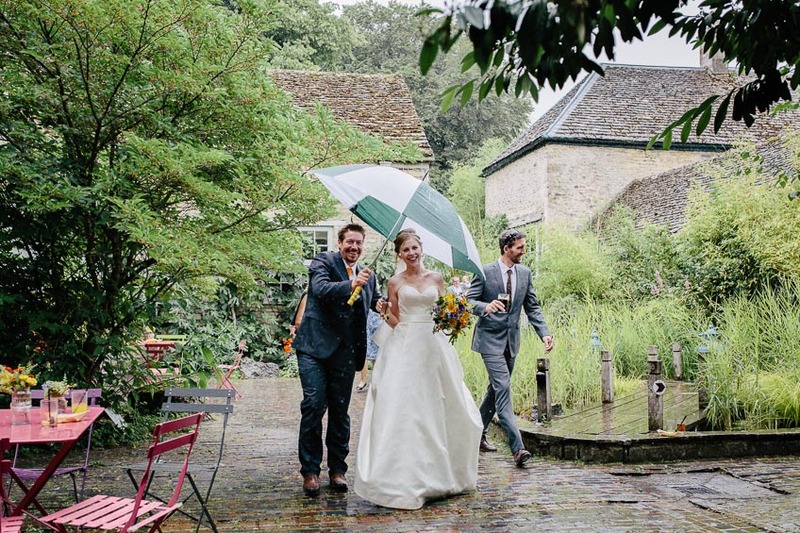 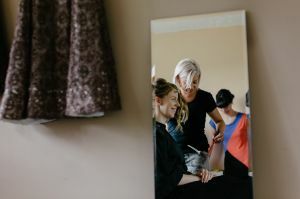 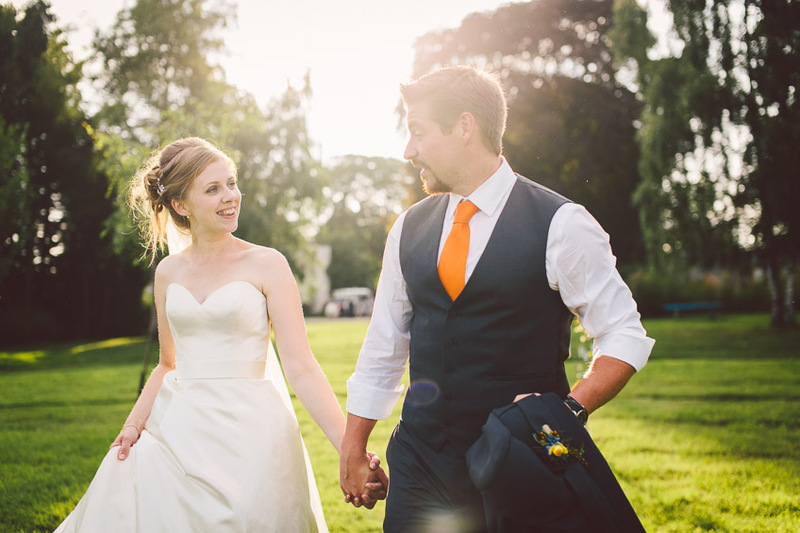 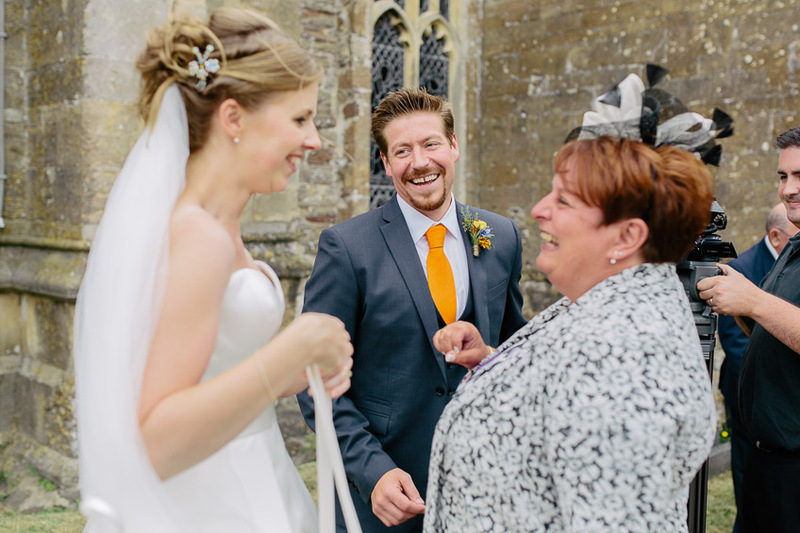 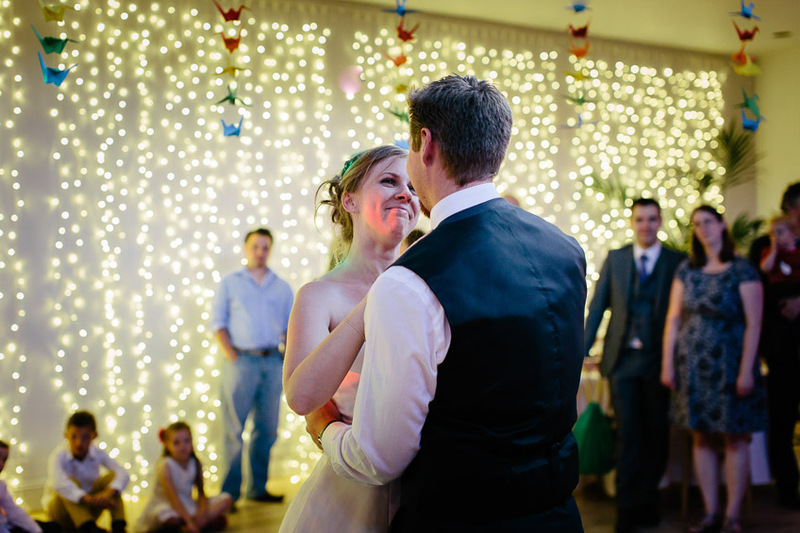 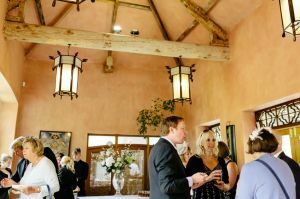 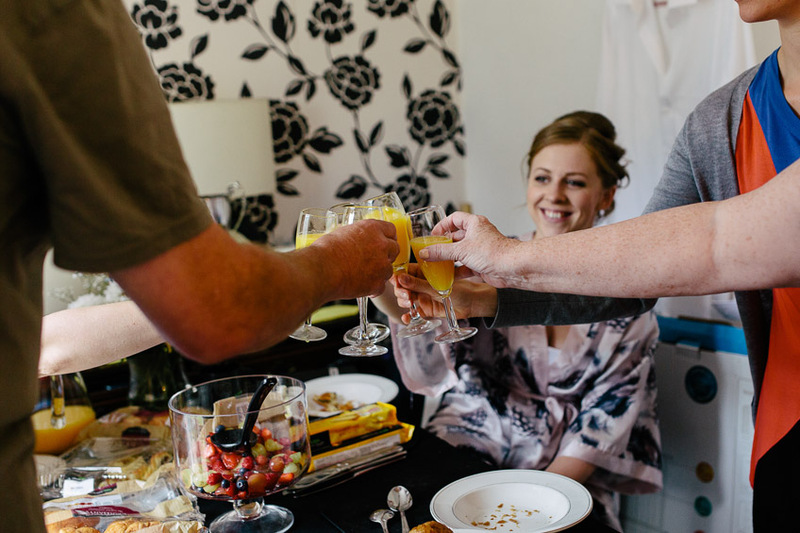 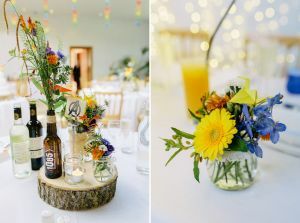 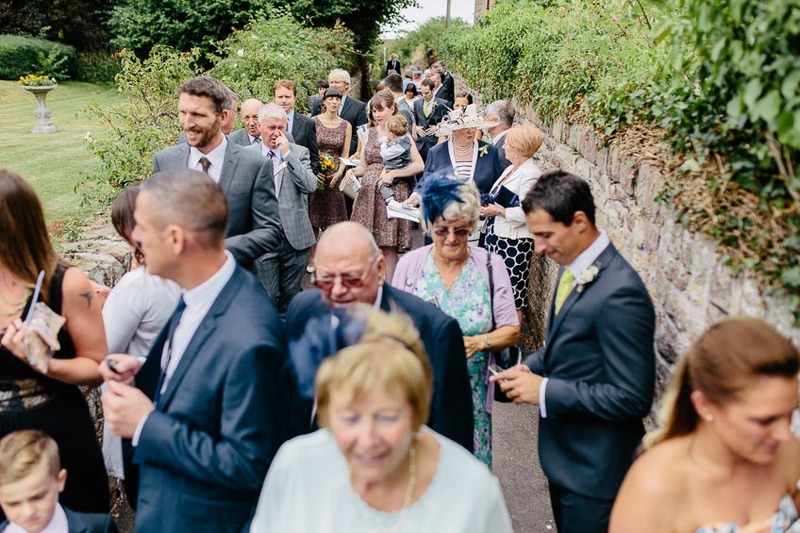 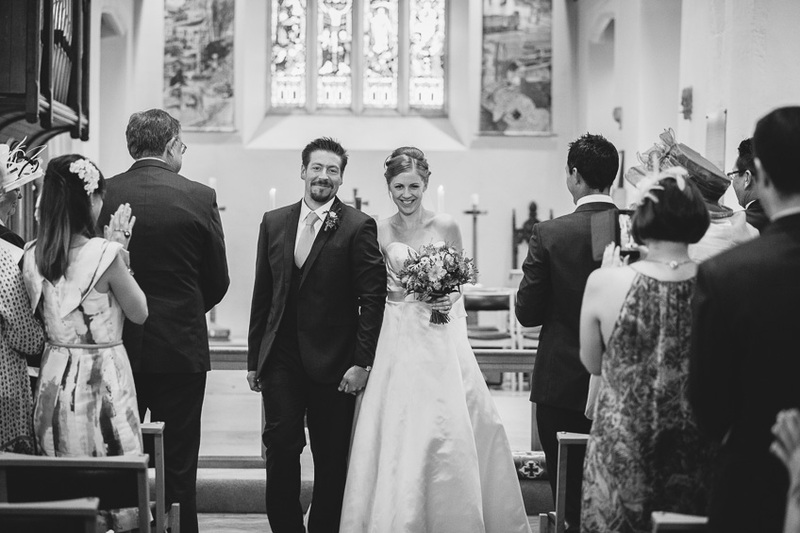 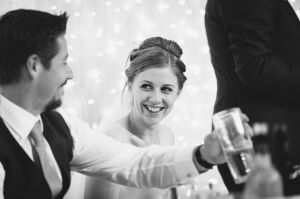 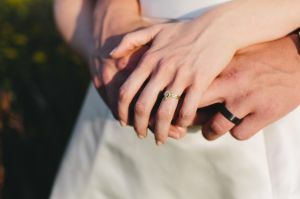 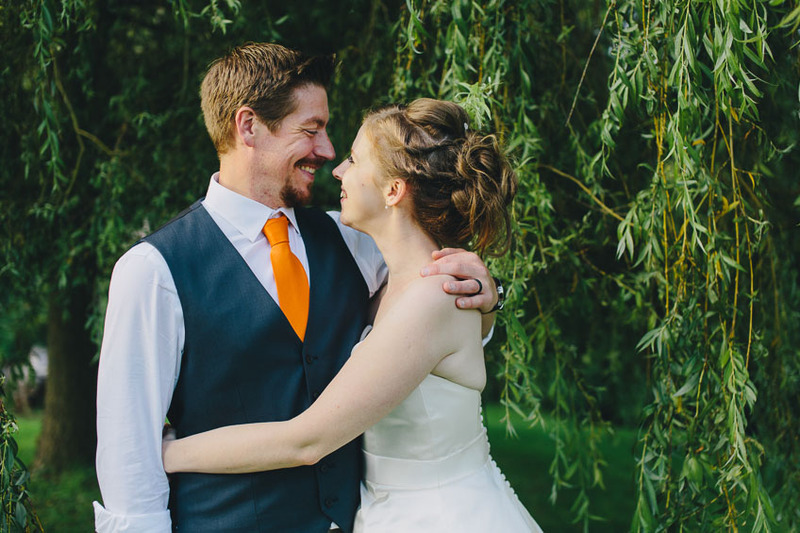 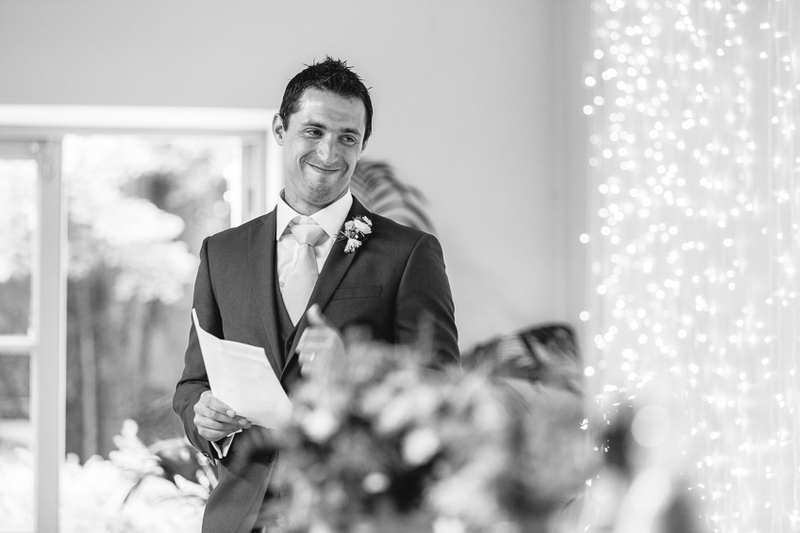 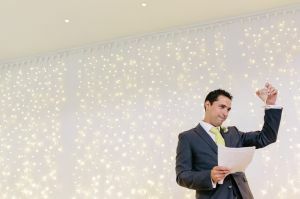 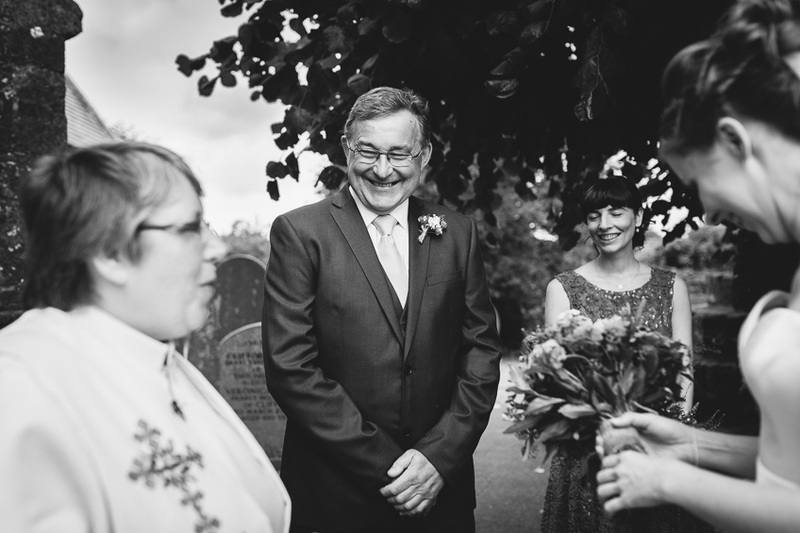 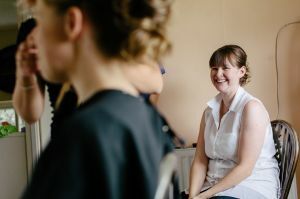 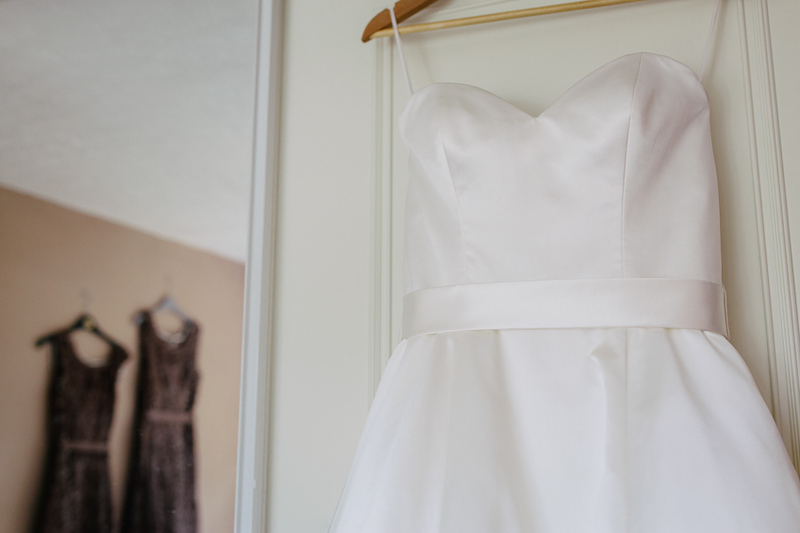 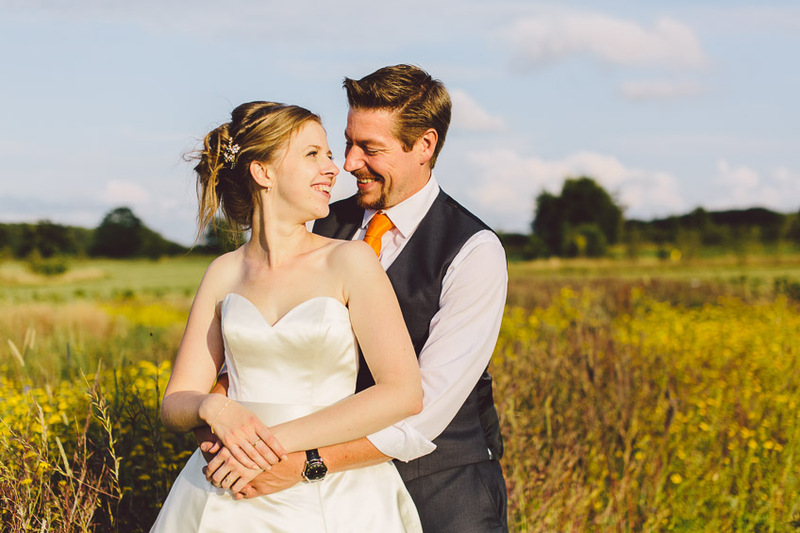 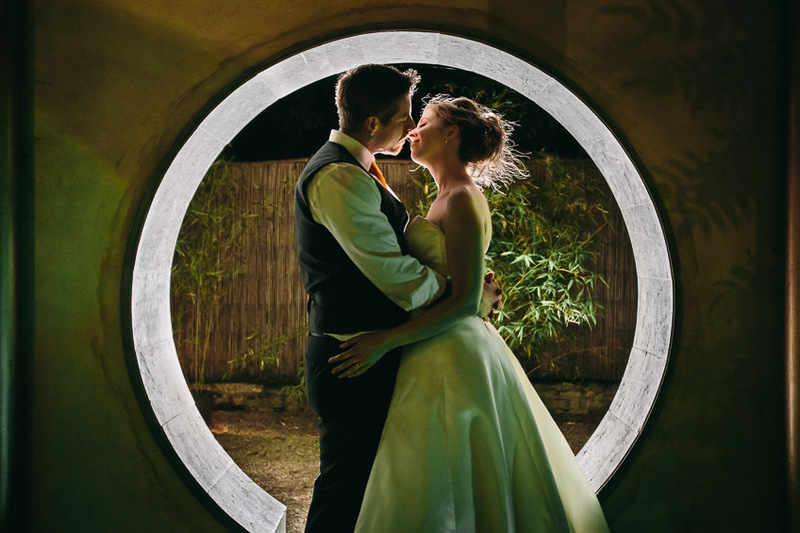 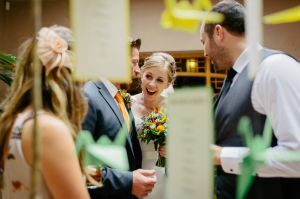 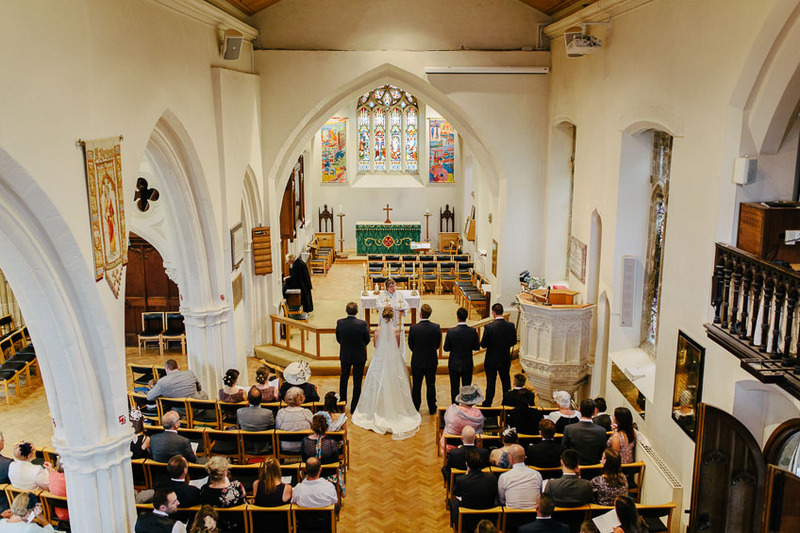 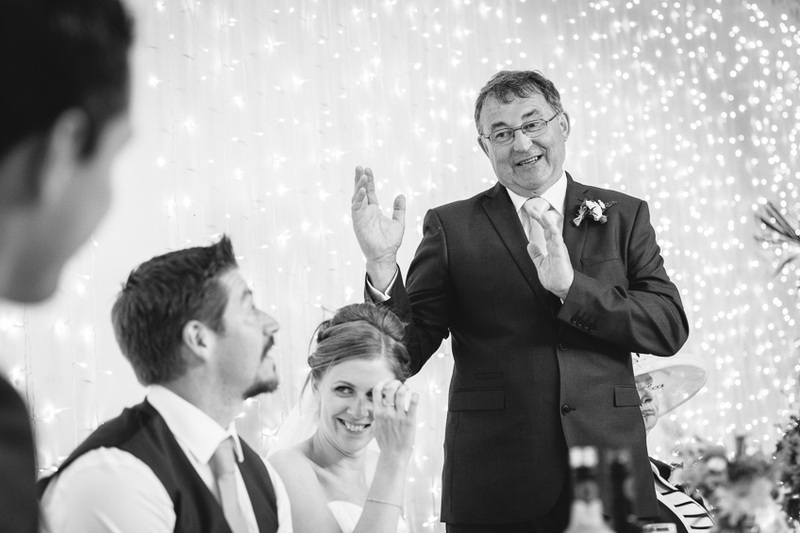 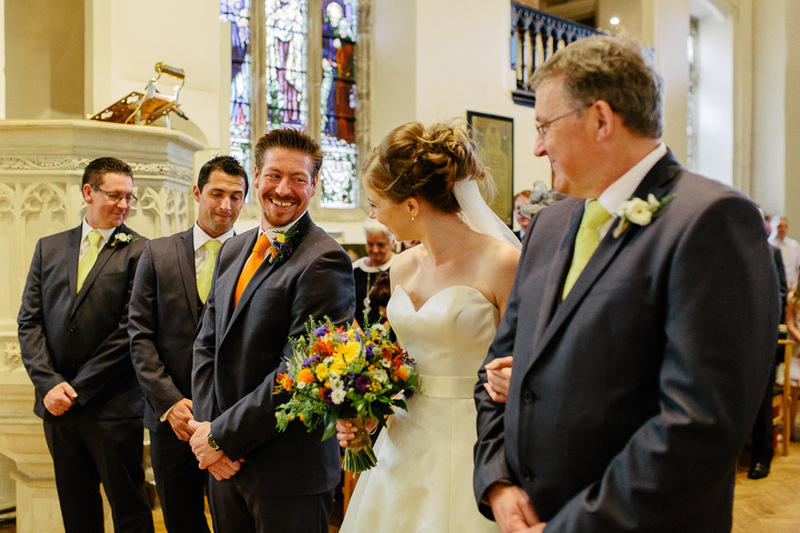 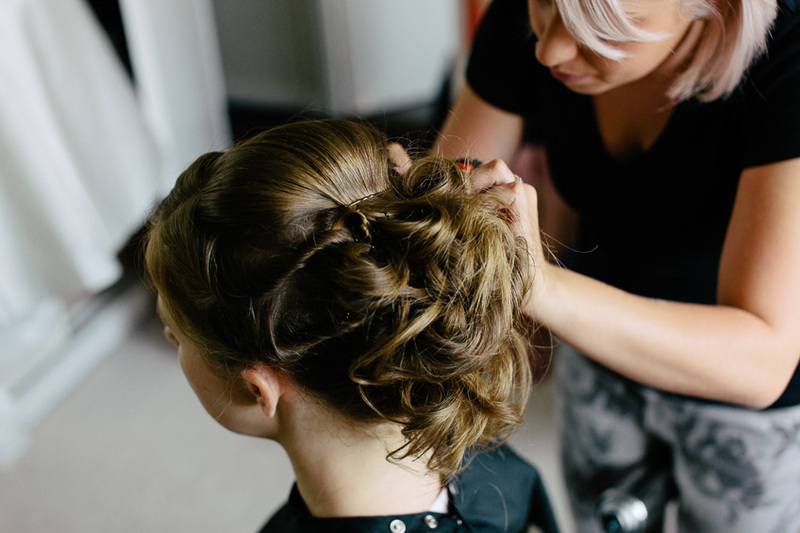 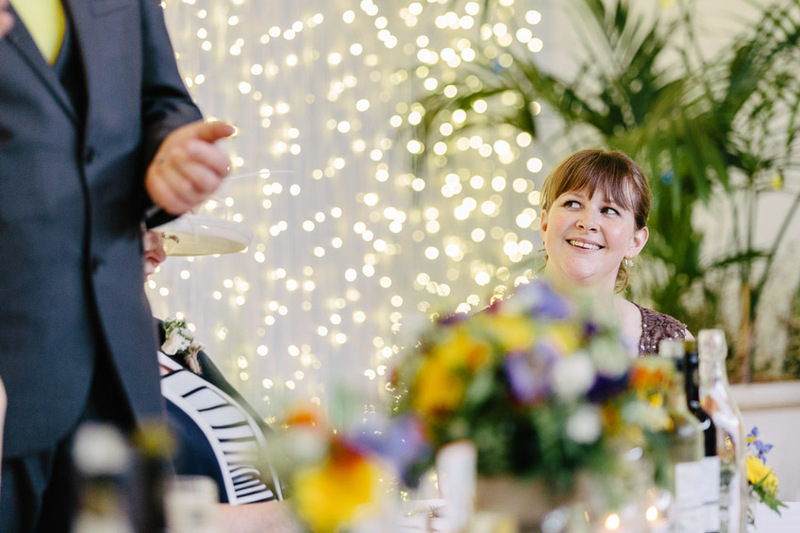 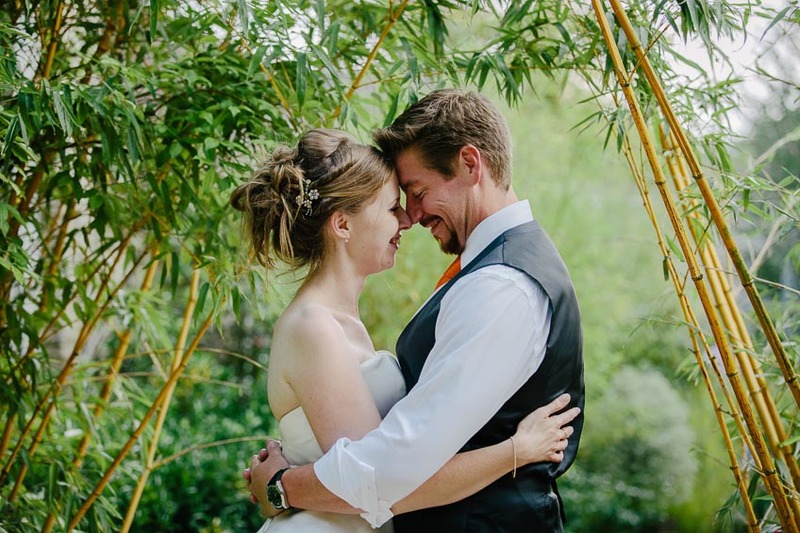 This week I’d like to share Nicola & Adam’s Matara Centre wedding from way, way back in sunny July. 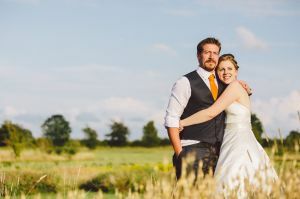 Having shot their pre wedding shoot at Matara a few weeks earlier, I’d had my fingers crossed for some more golden sunshine. 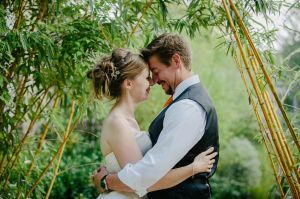 Apart from the odd rain shower during the day, I was really pleased for them that we lucked out again at just the right time. 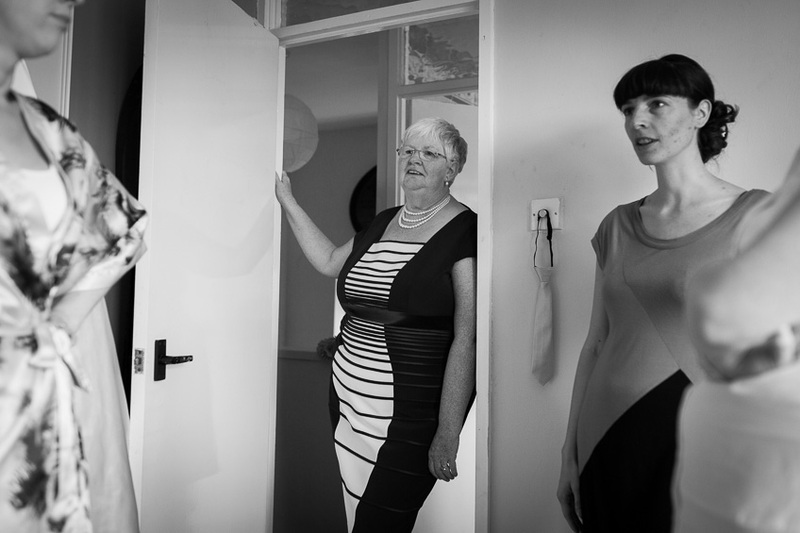 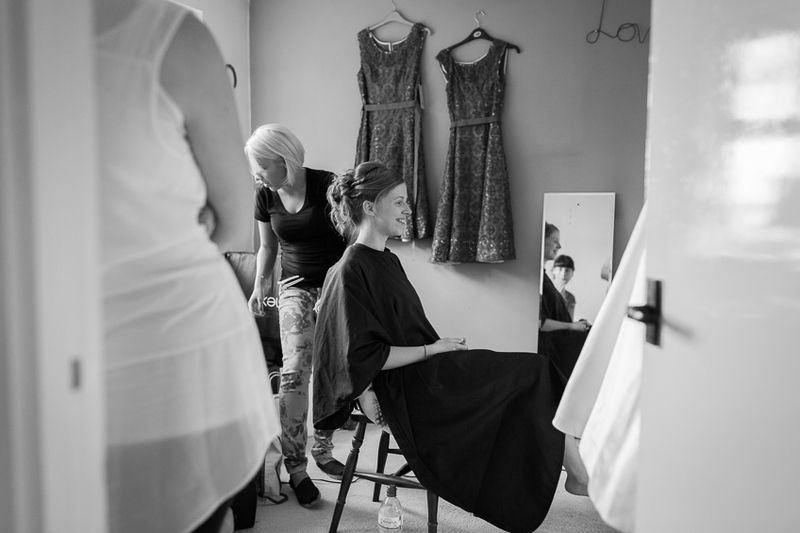 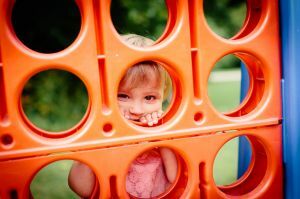 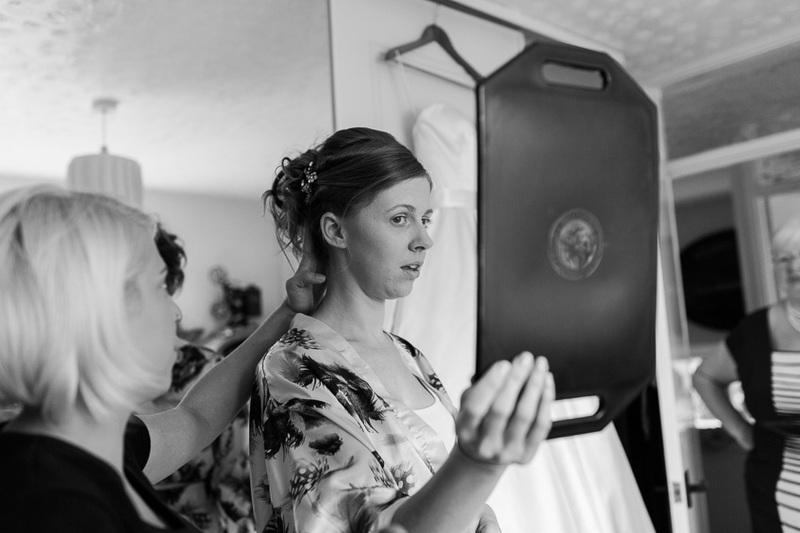 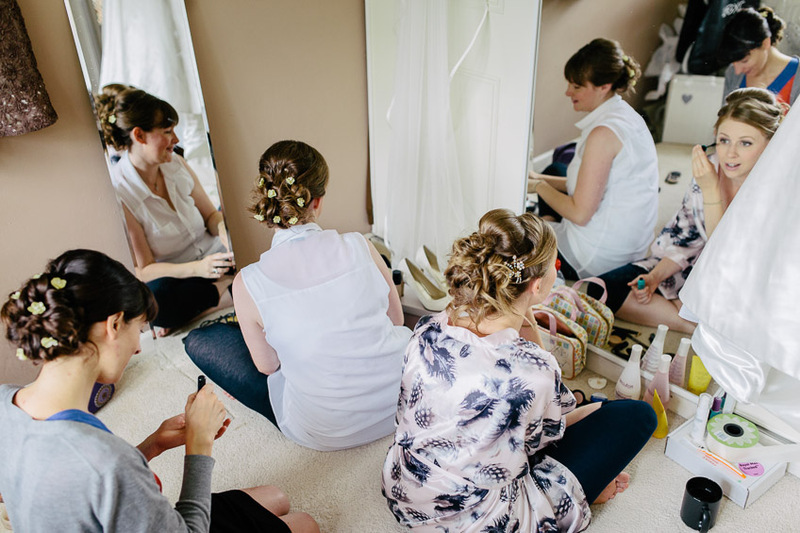 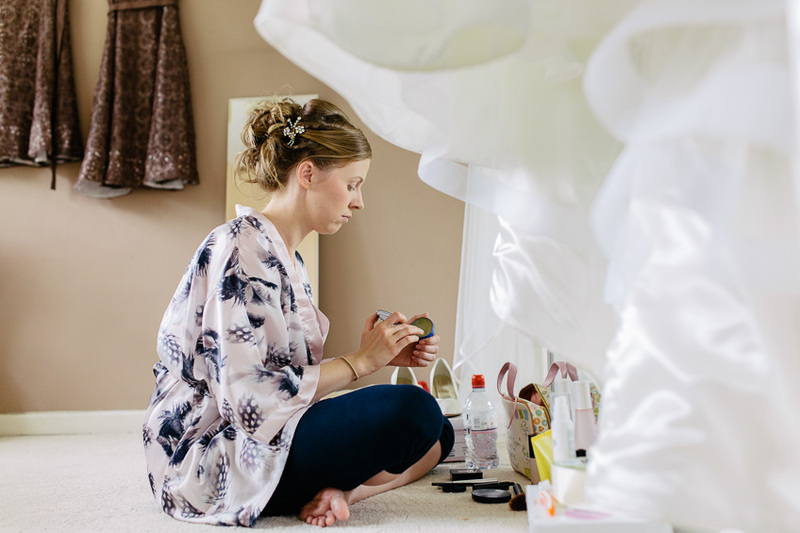 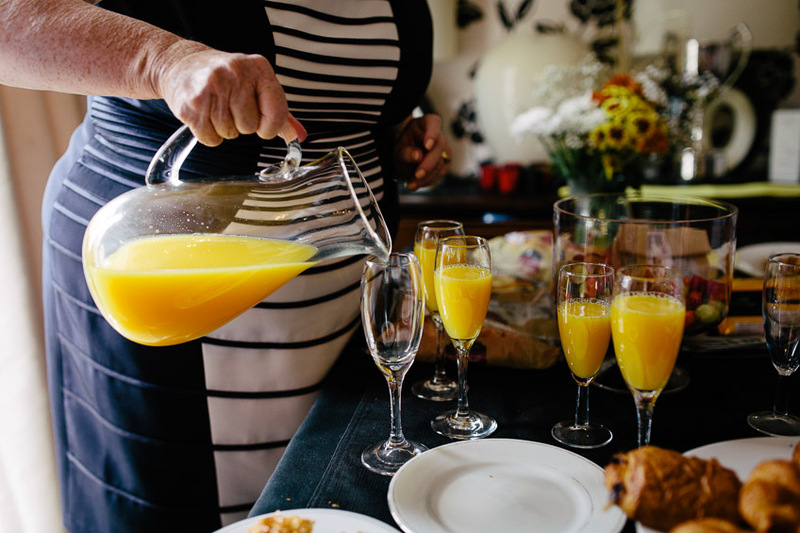 I spent the morning with Nicola and the girls getting ready at home. From there it was a short drive over to St Peters church in Portishead to catch up with Adam and the arrival of the guests. 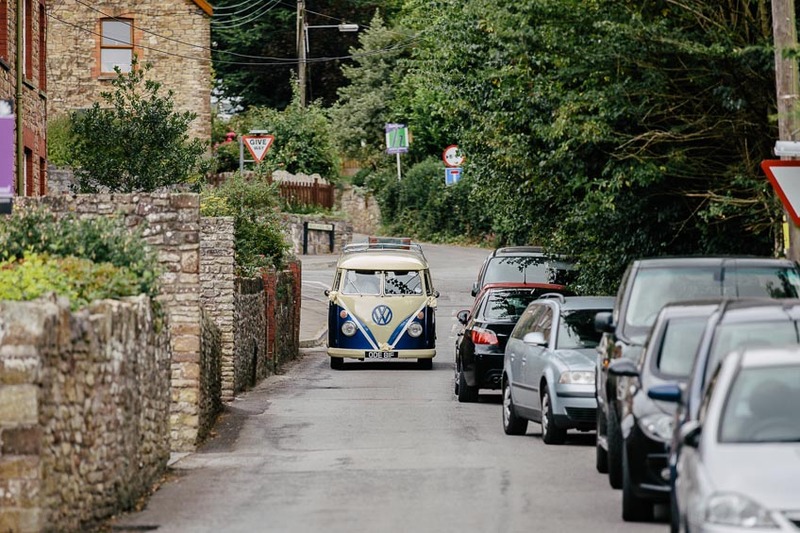 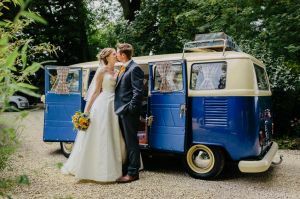 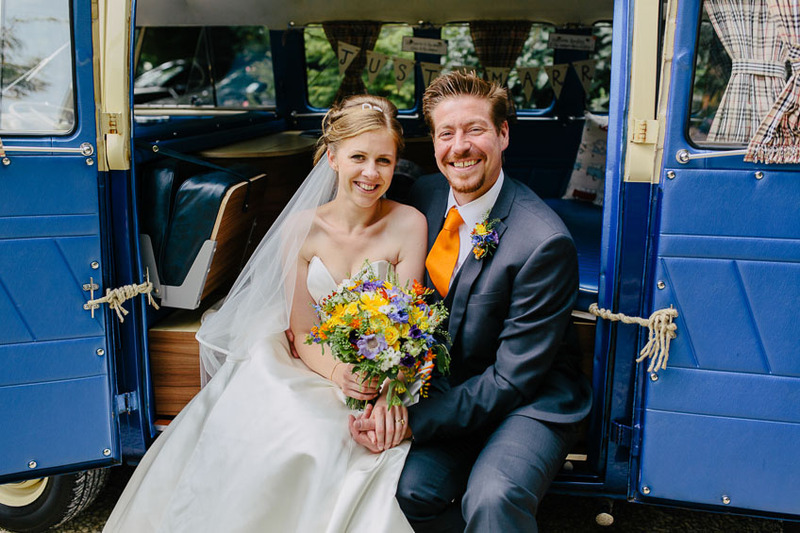 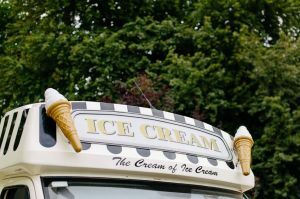 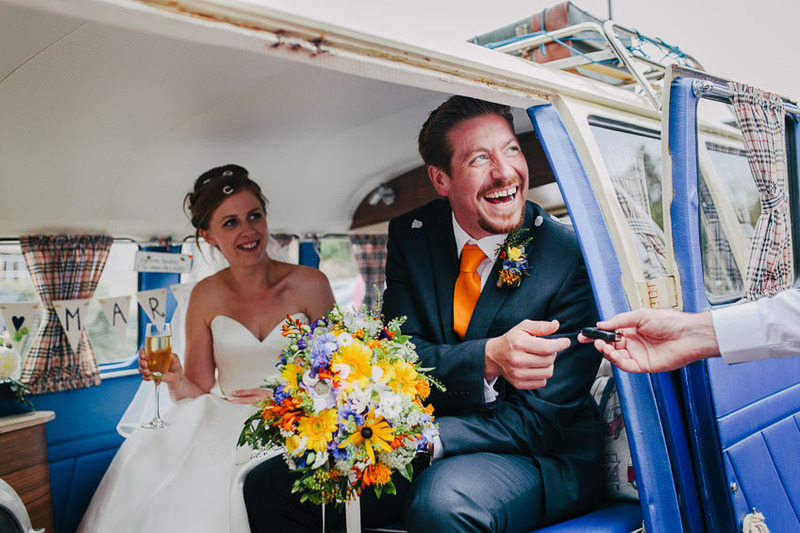 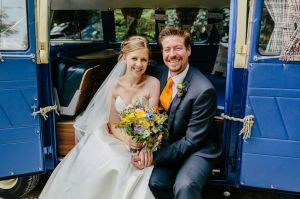 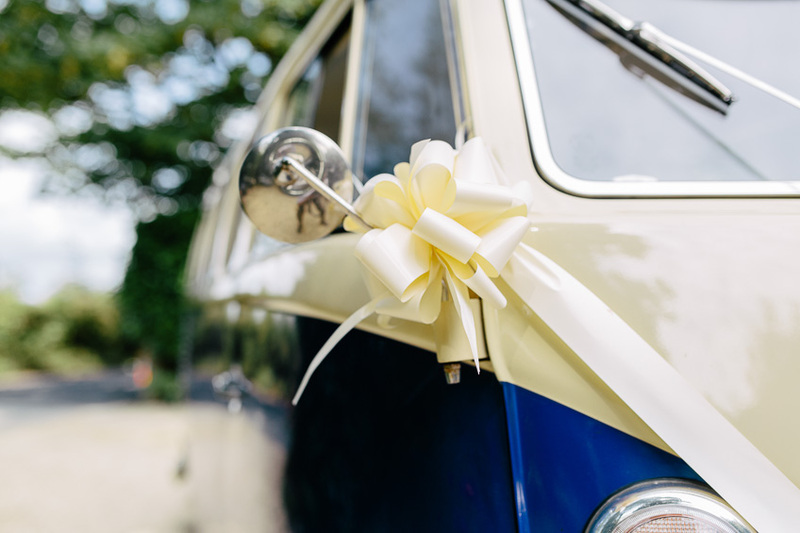 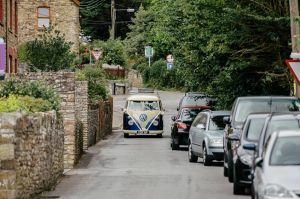 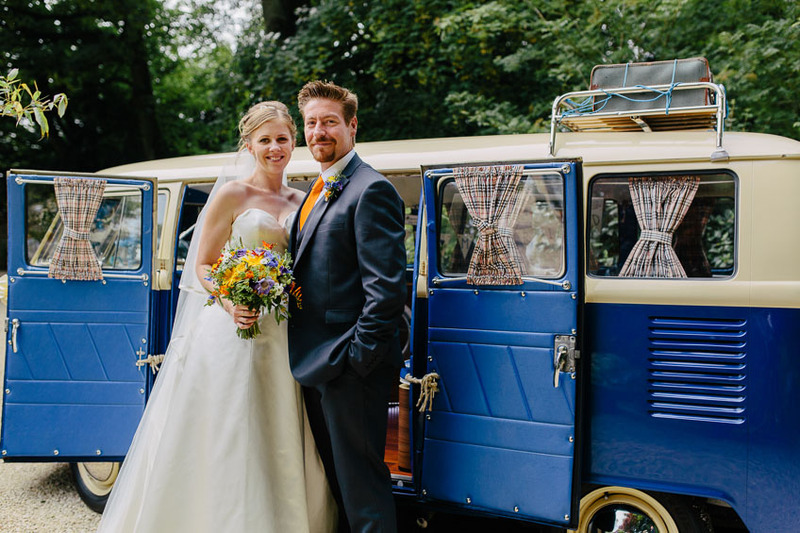 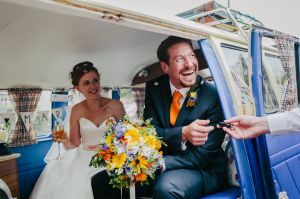 Nicola and Adam had hired a rather splendid 1968 split screen camper van from Wedding Day Wagon to tootle them off to the Matara Centre. 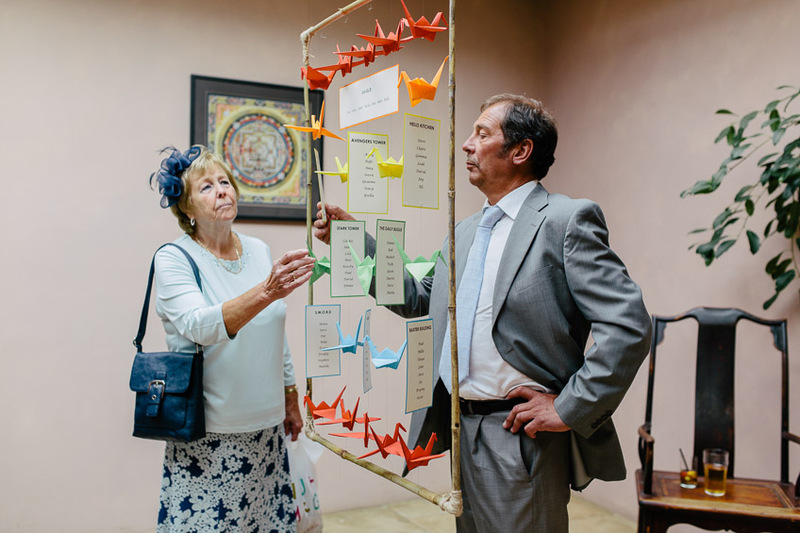 That beautiful royal blue perfectly matched their vibrant colour scheme which included – get this – no less than one thousand origami cranes! 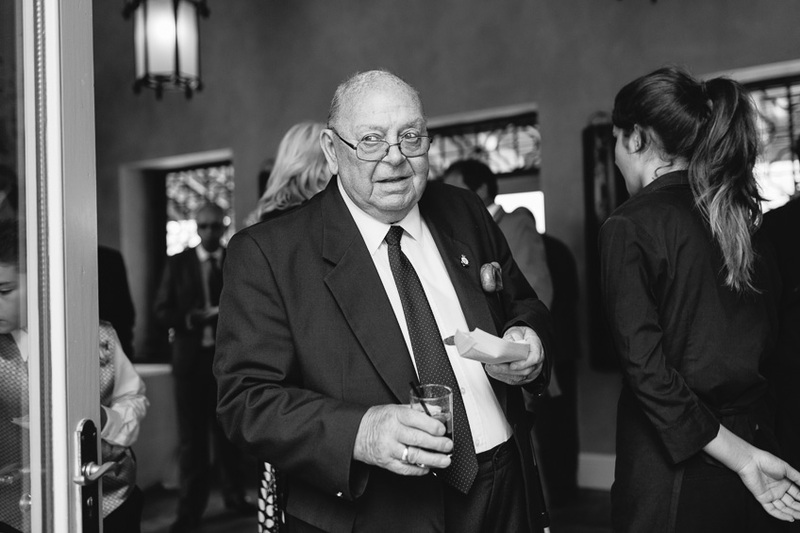 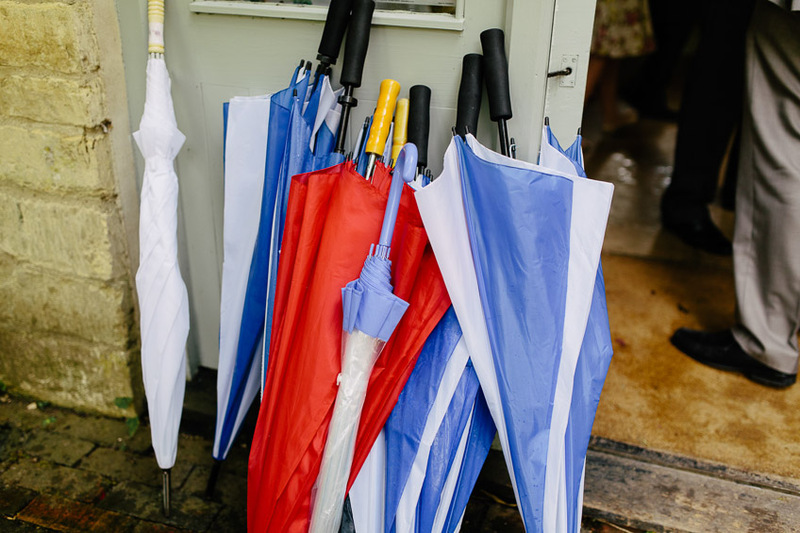 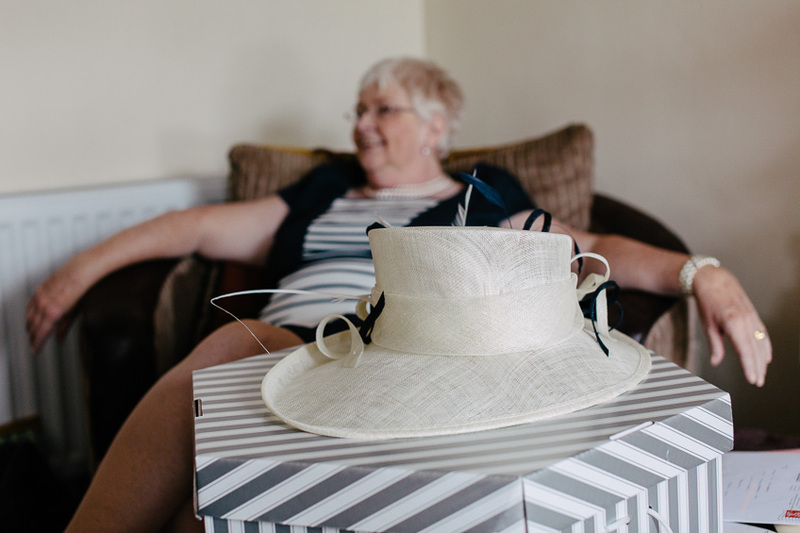 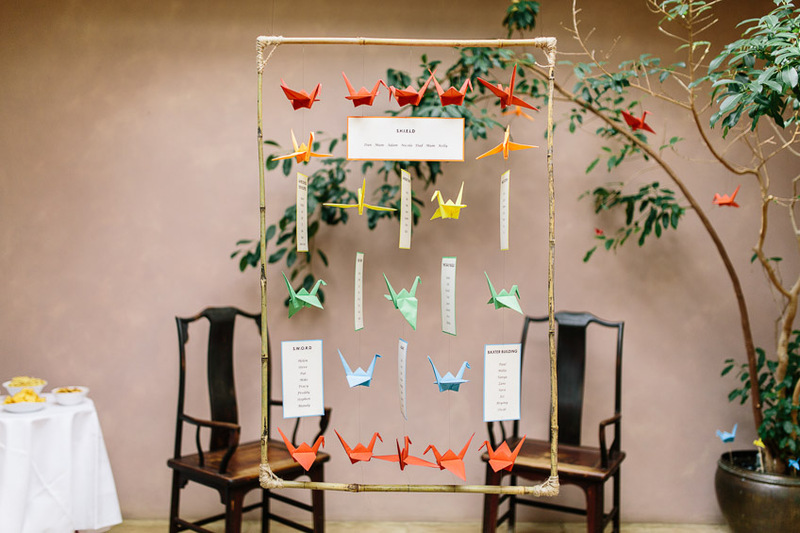 They were all hand made by themselves too – now there’s some serious dedication to decoration! As you’ll see they’d both put a lot of effort into dressing the venue just prior to the day with some unique touches. 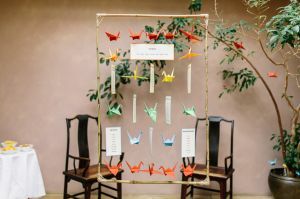 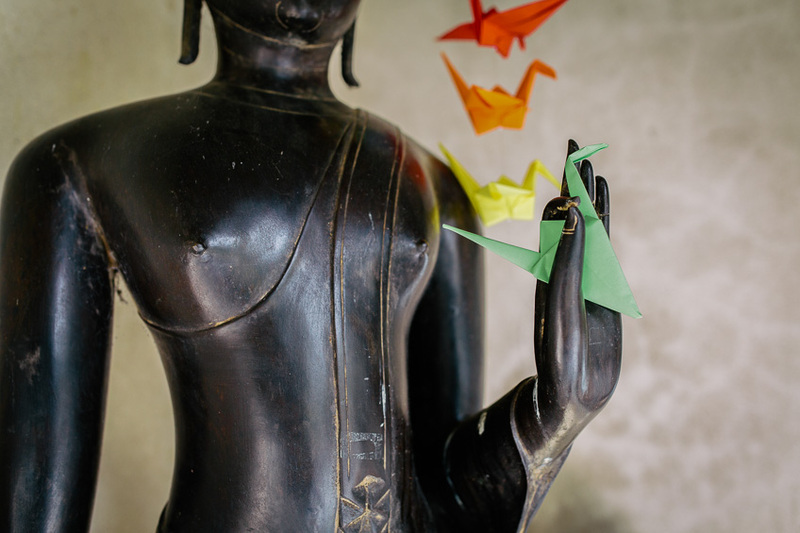 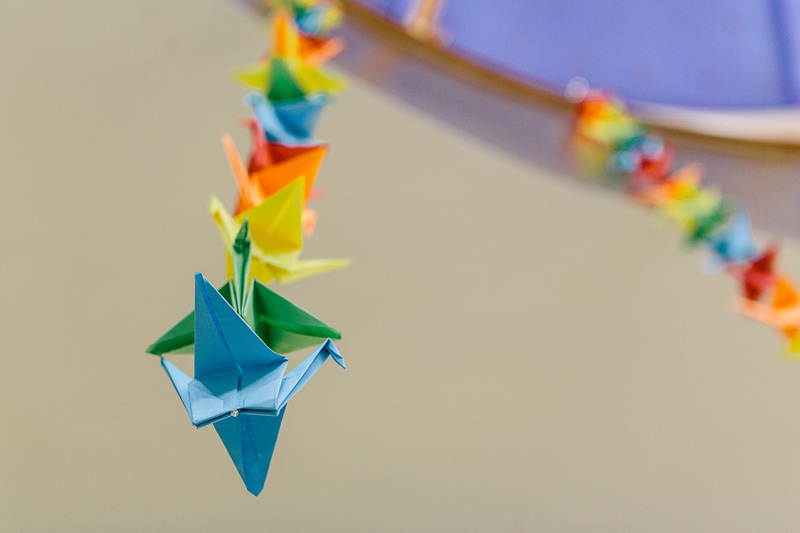 The cranes were of course in keeping with the Japanese inspired theme of Matara, a venue I don’t think I could ever fail to be inspired by (thanks for looking after me too!). 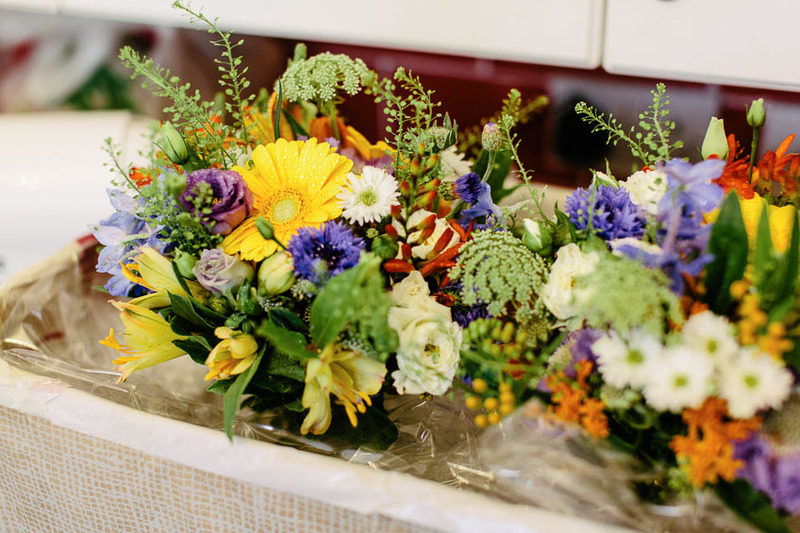 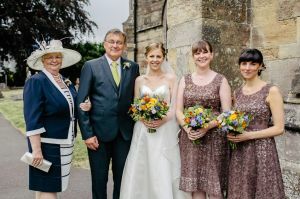 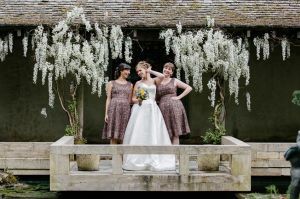 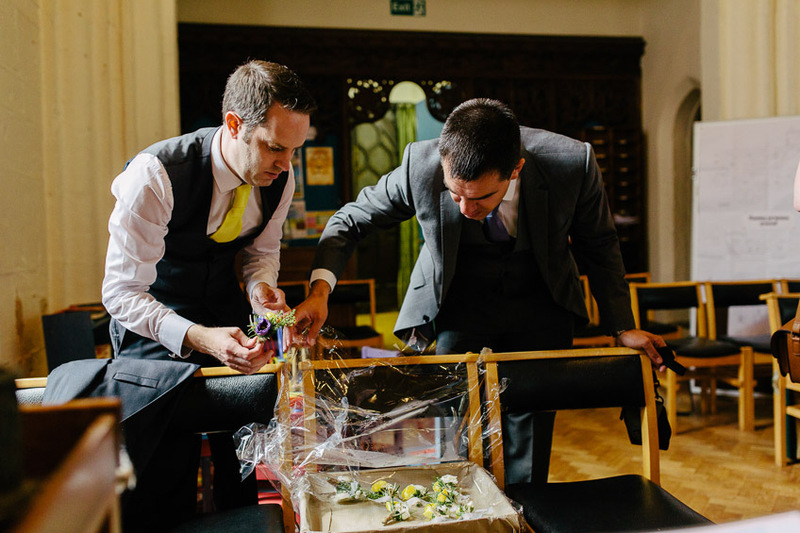 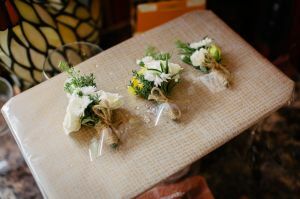 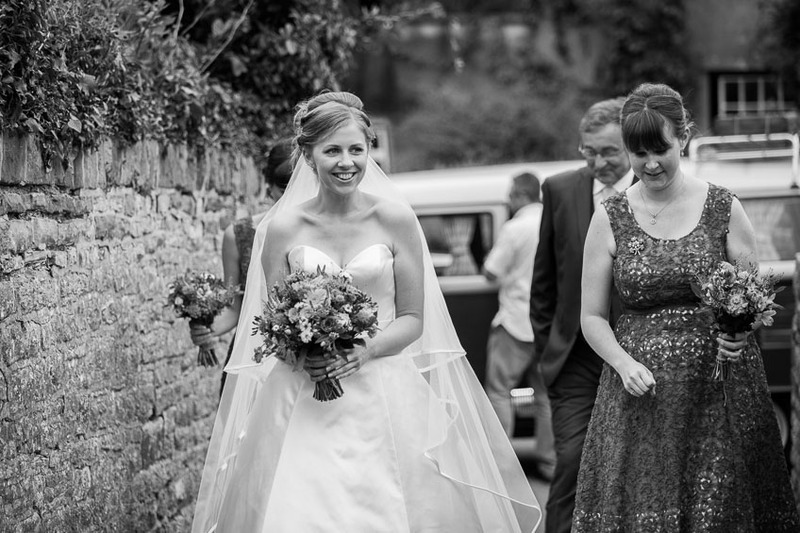 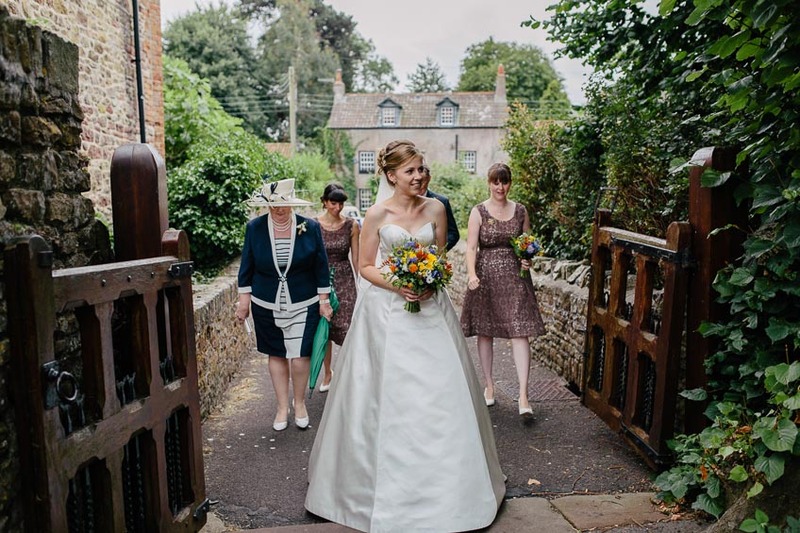 The gorgeous bouquets and buttonholes were provided by Foxglove Flowers. 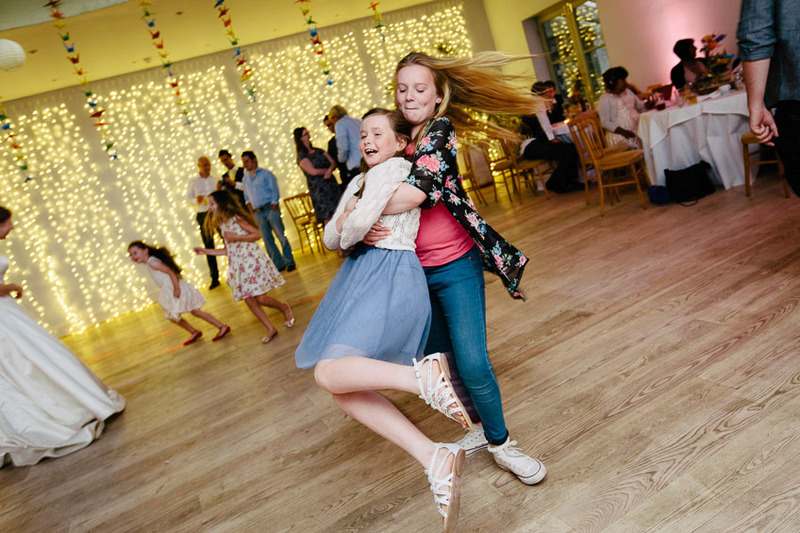 It was a day full of colour, fun, and topped off with a little dance off for good measure! 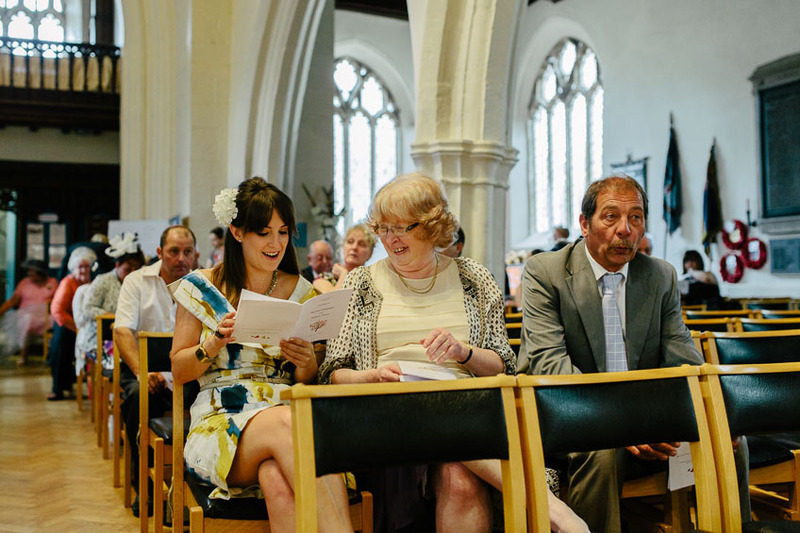 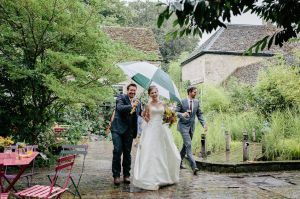 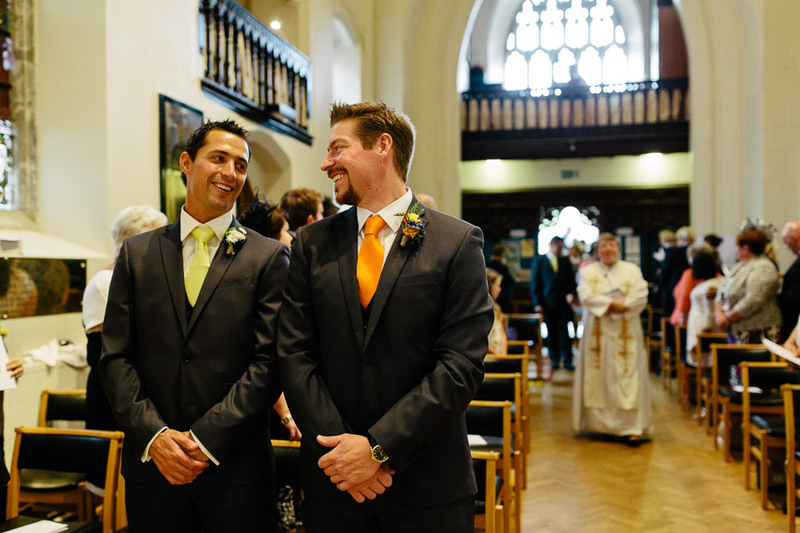 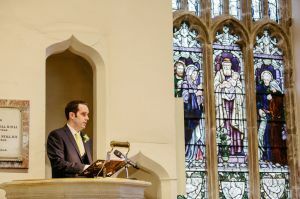 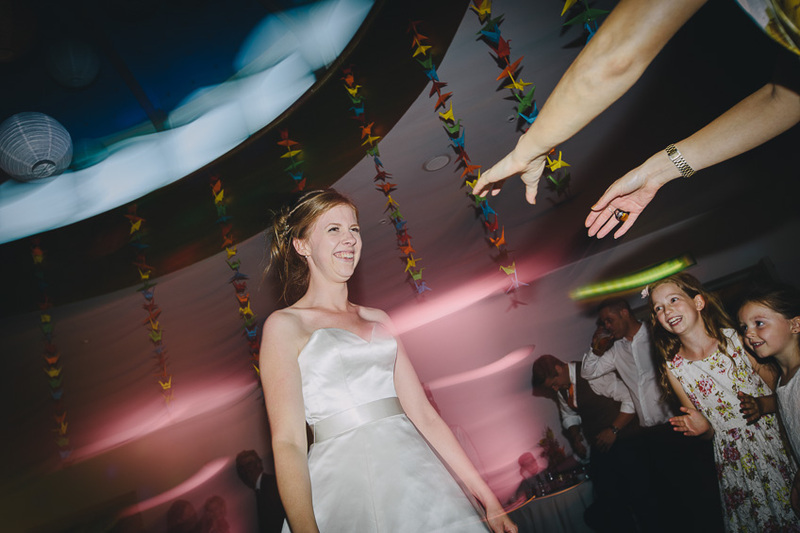 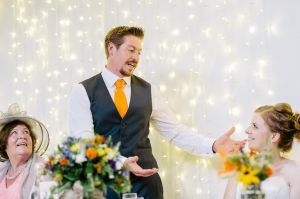 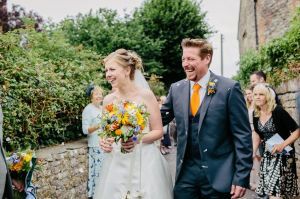 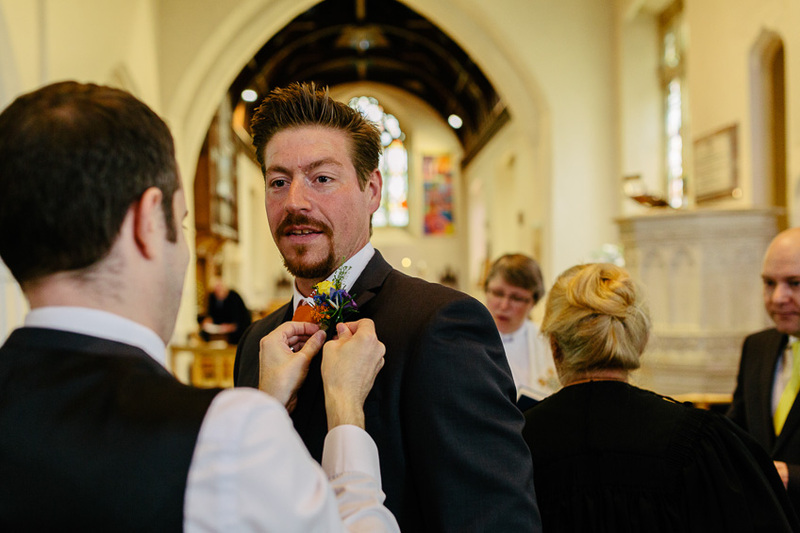 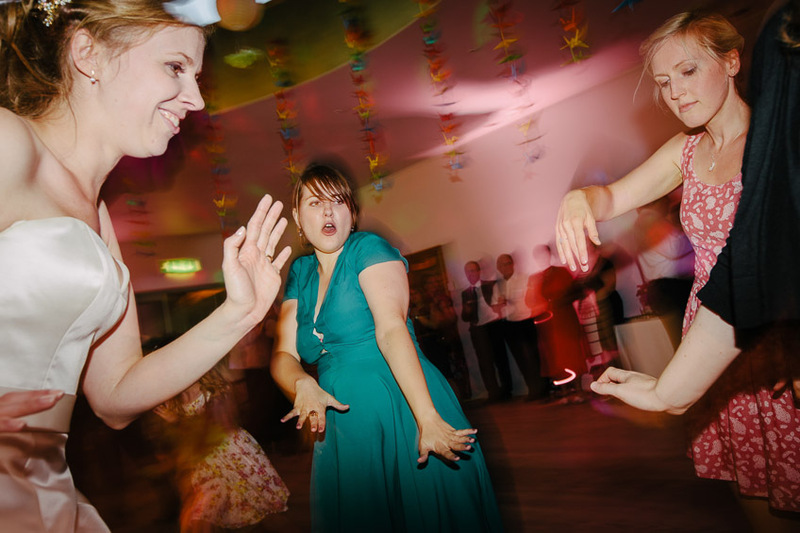 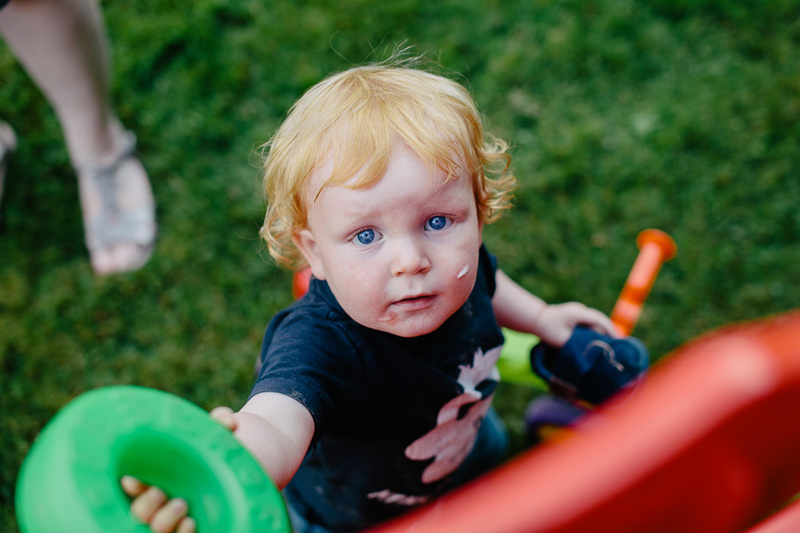 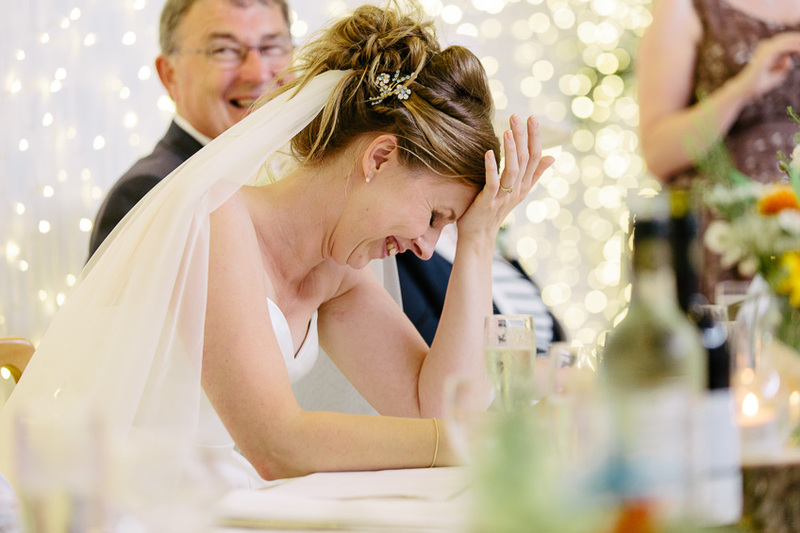 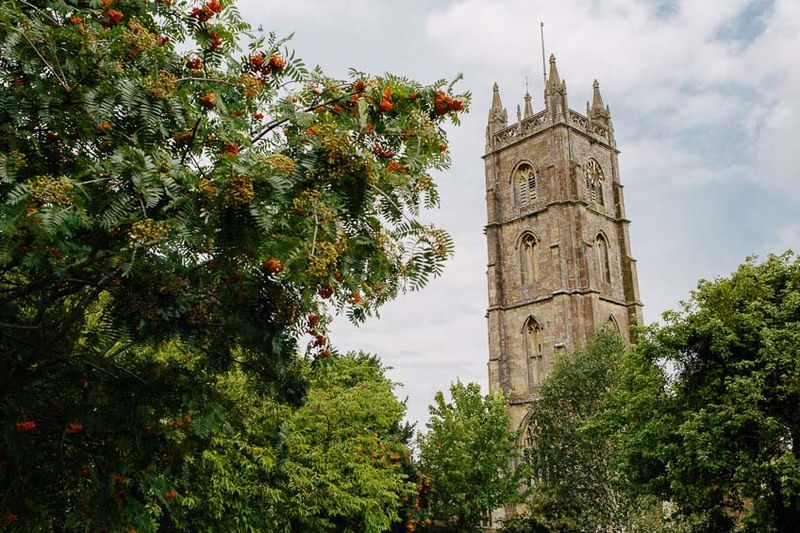 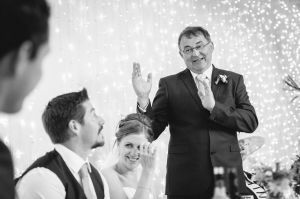 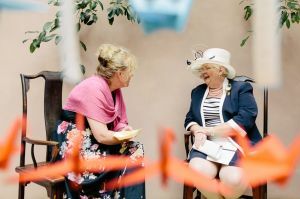 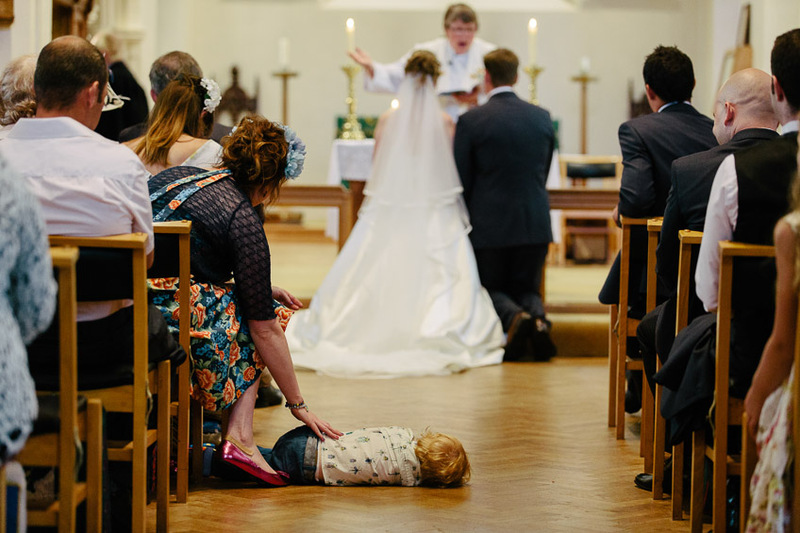 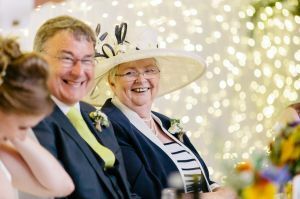 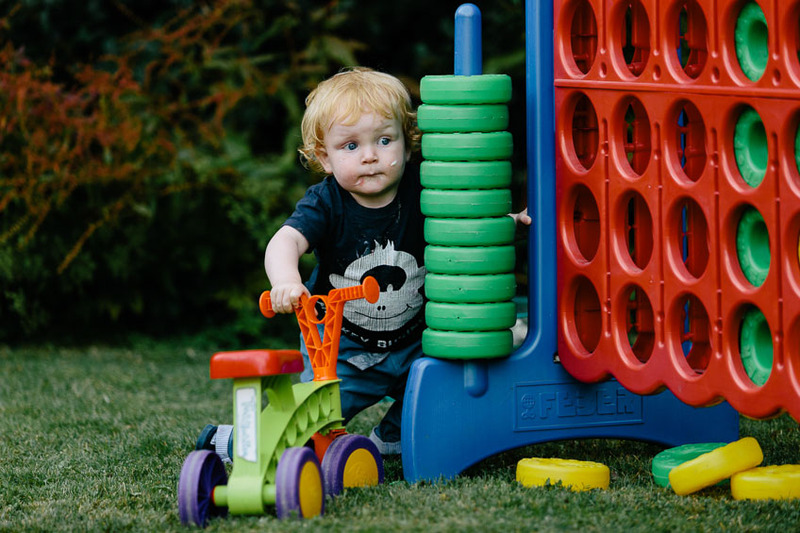 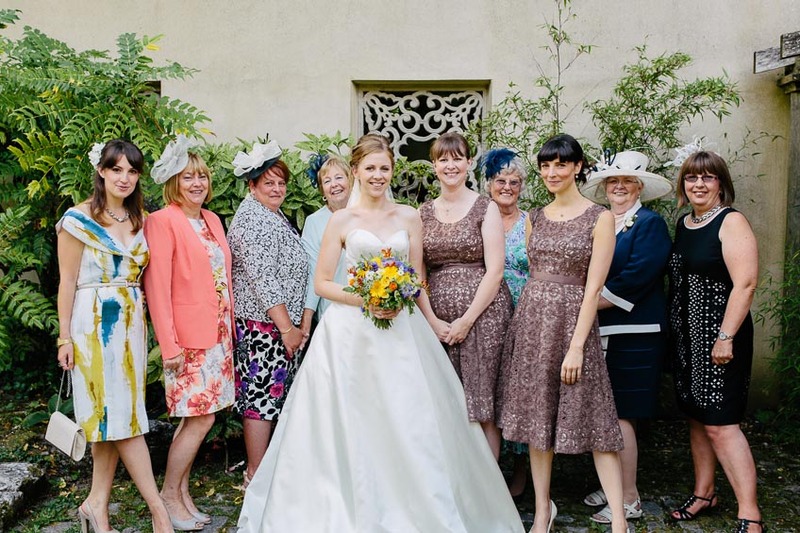 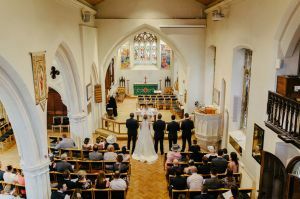 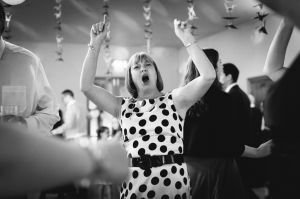 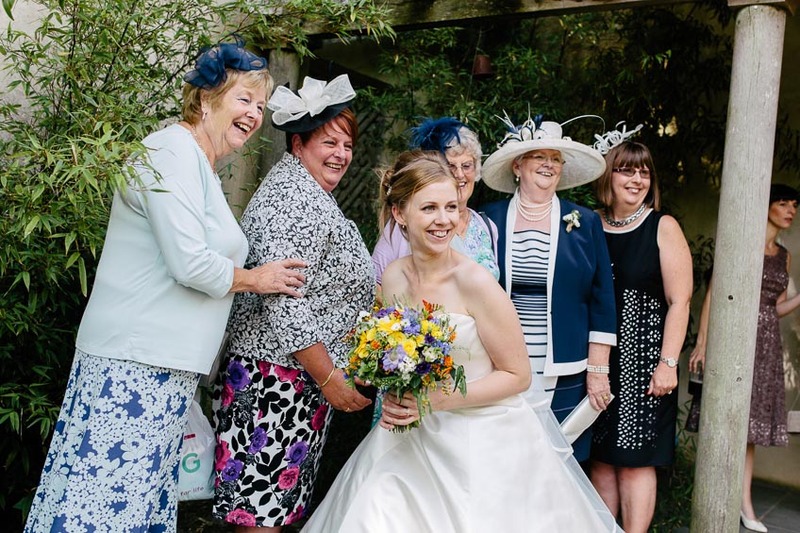 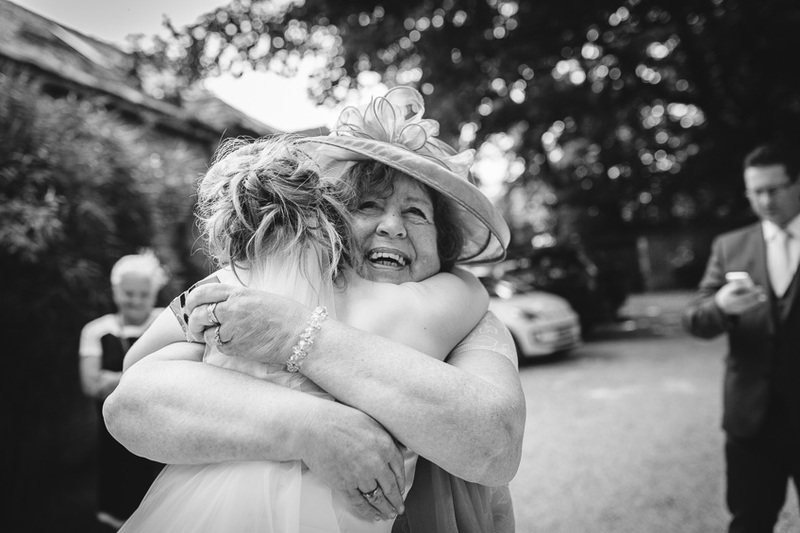 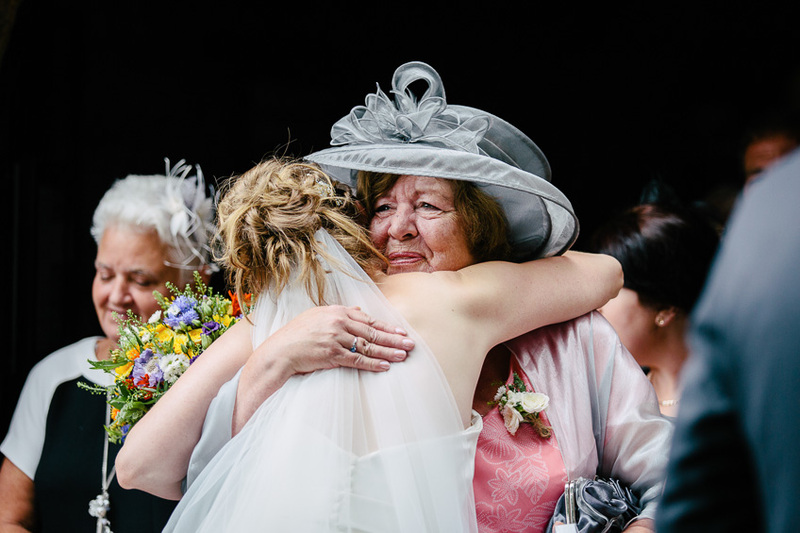 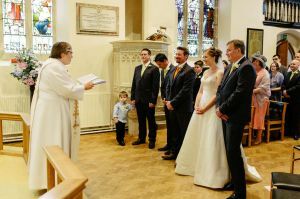 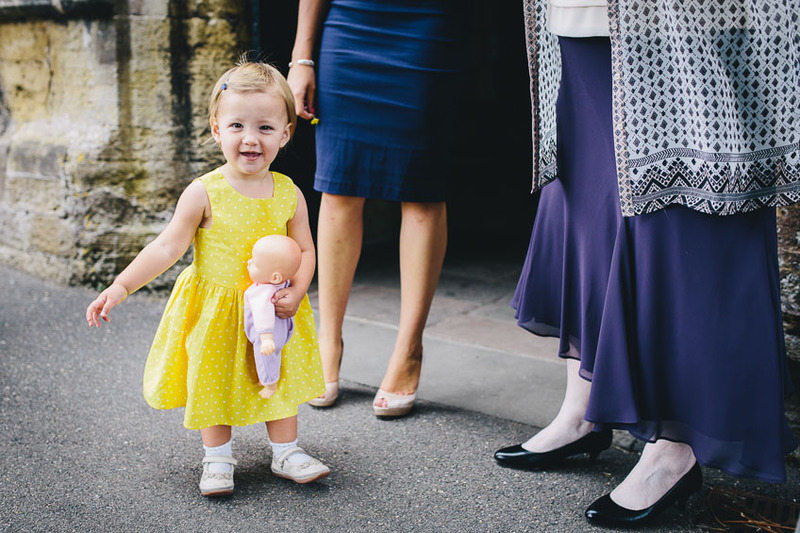 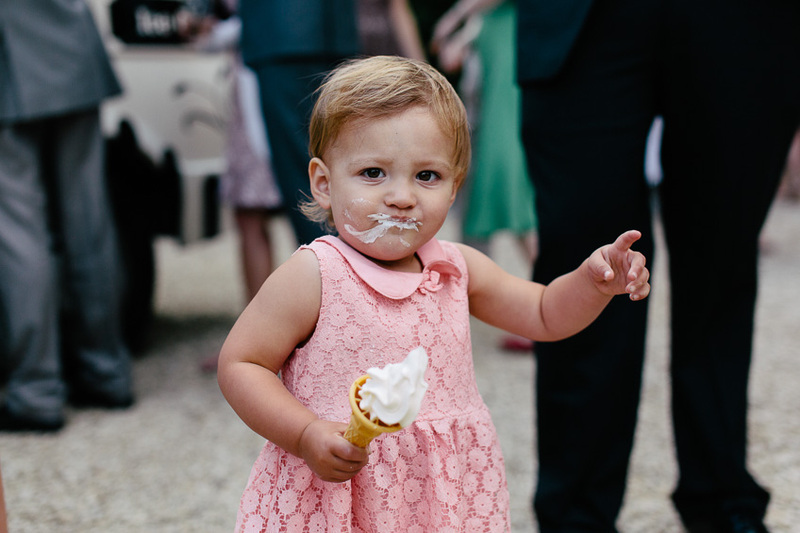 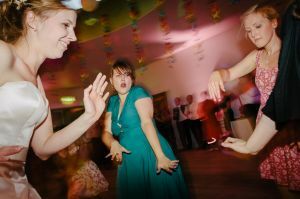 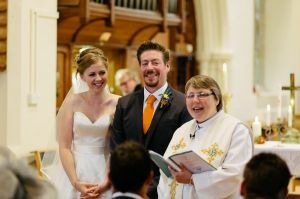 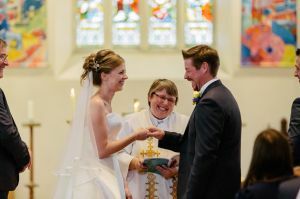 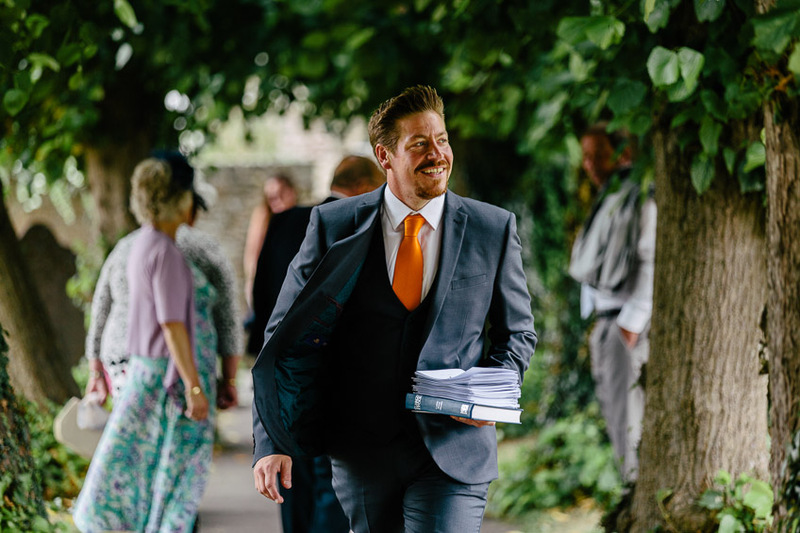 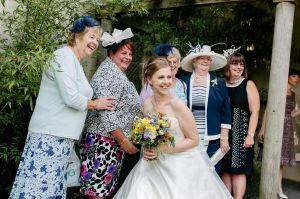 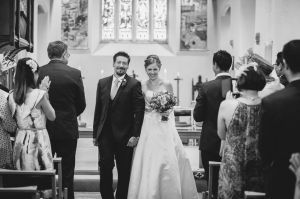 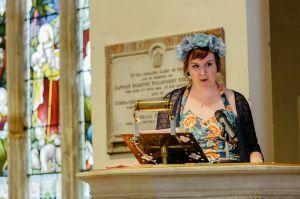 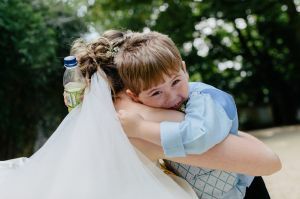 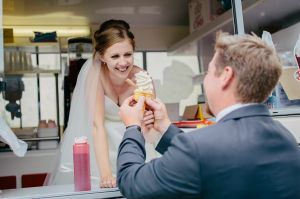 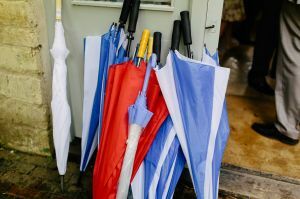 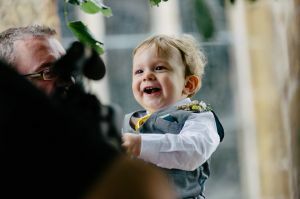 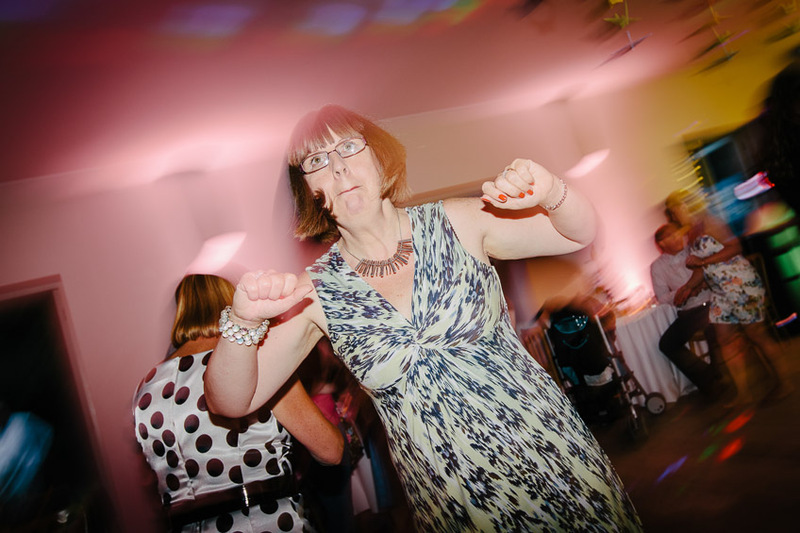 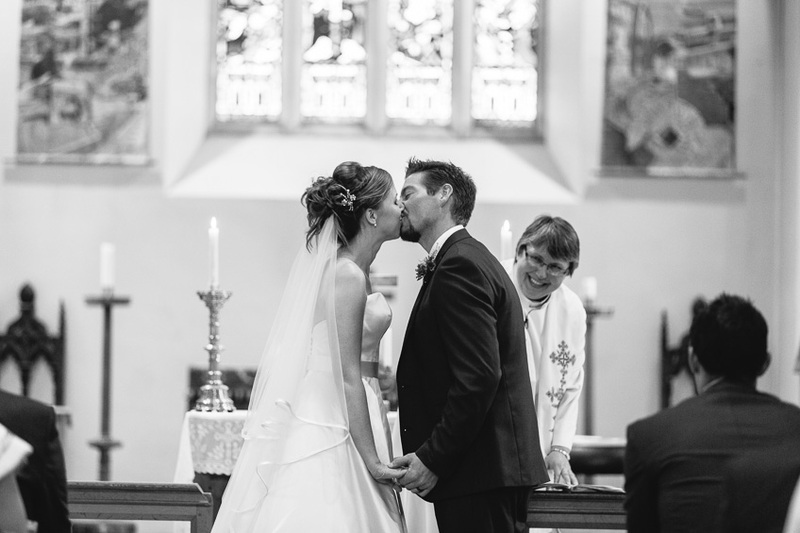 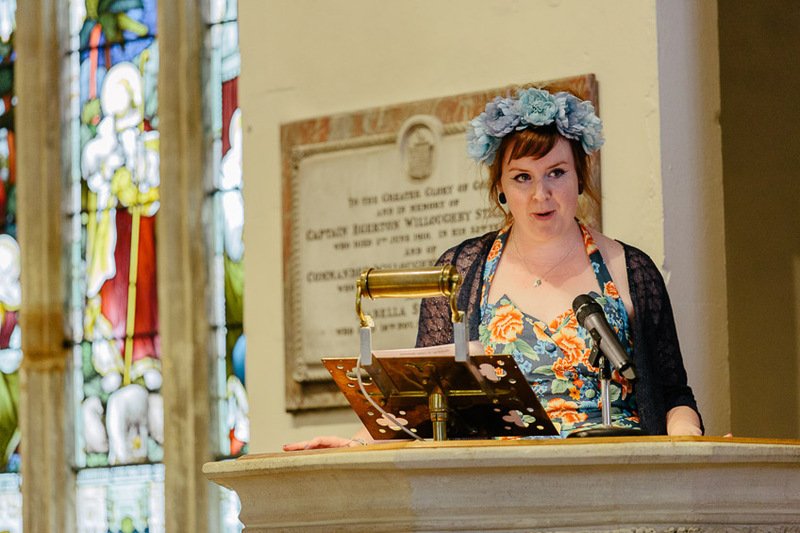 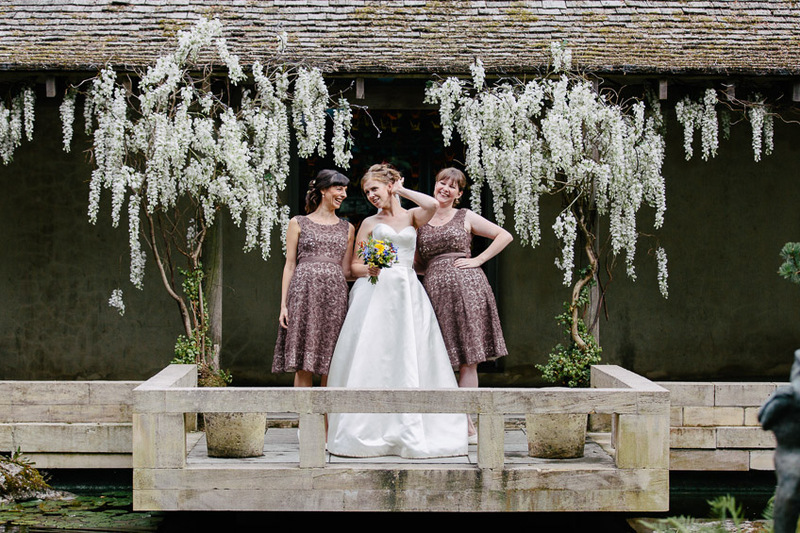 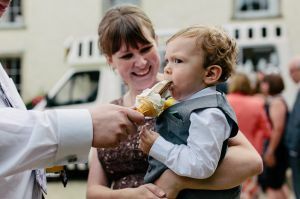 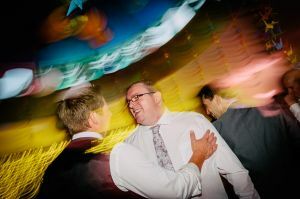 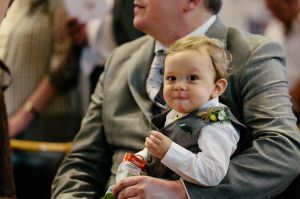 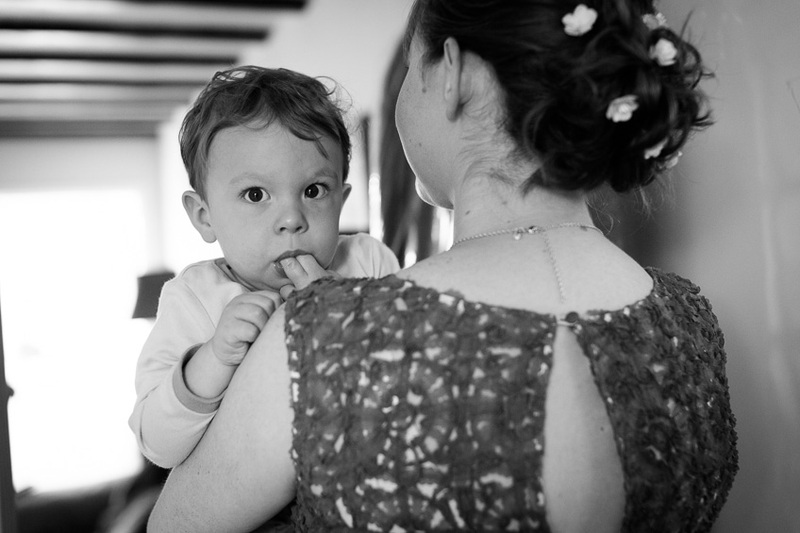 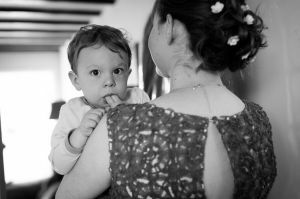 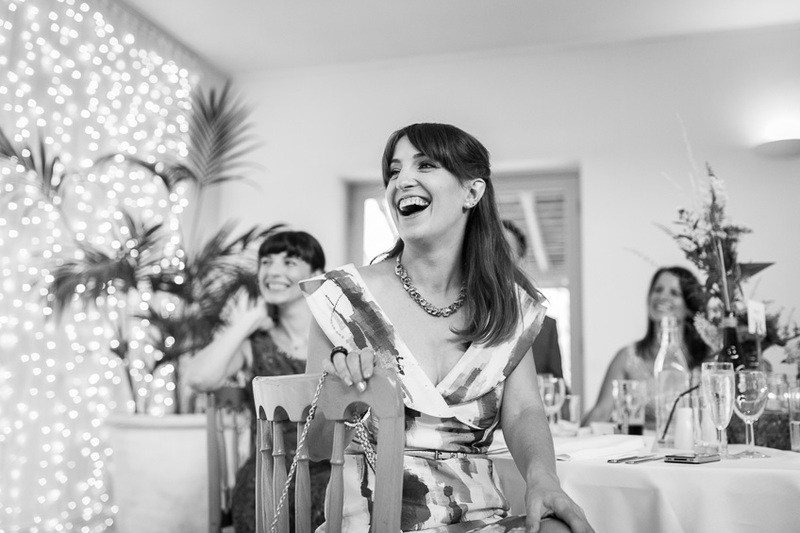 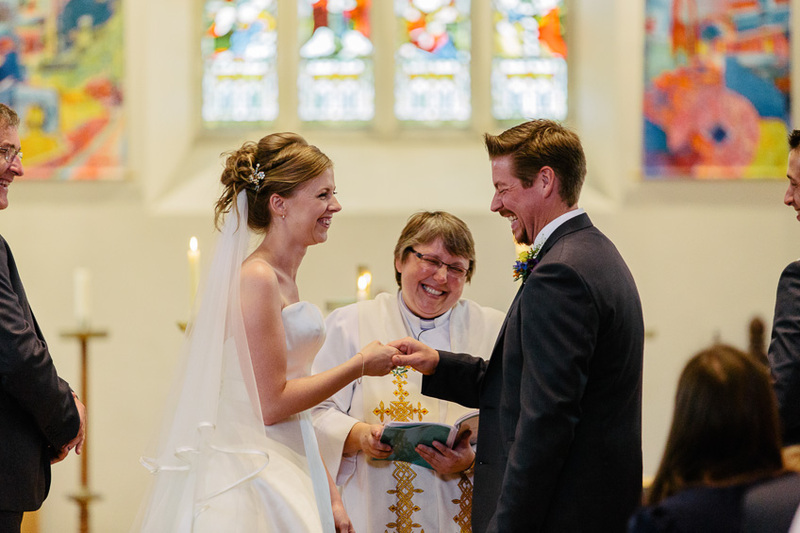 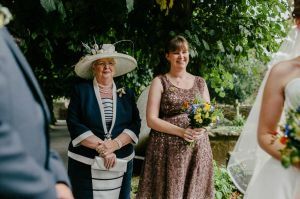 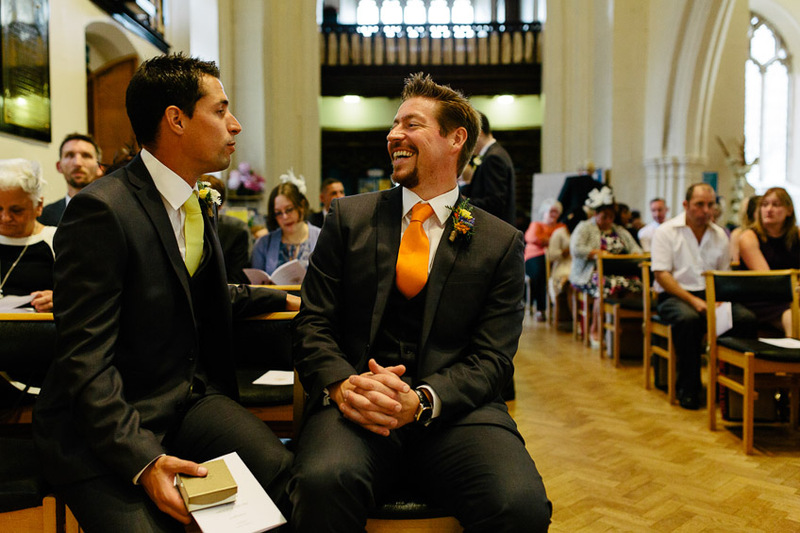 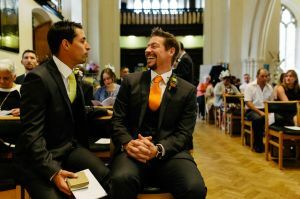 This entry was posted in Weddings and tagged Cotswolds Wedding Photography, Gloucestershire Wedding Photography, Matara Centre Wedding Photography, Summer Weddings.